CHA--CHING!!!! TURN KEY OPERATION After over 6 decades building his empire, owner now ready to retire and allow new buyer to reap the benefits of this GOLD MINE. Over $400k income/yr!!!!! Store + 2 2bed apartments There is a very lucrative self serve propane business included. Zoned Commercial! 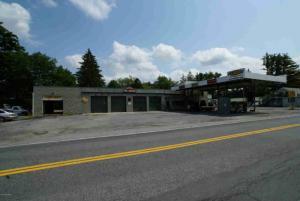 Centrally located on the main thoroughfare between Schenectady & points west & a feeder for RT 50 from Saratoga County. Conveniently minutes to all the development surrounding the casino & the bevy of hotels being built. Price Chopper HQ near by. 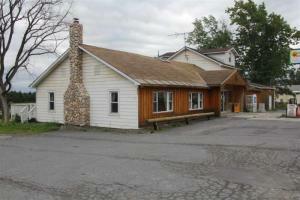 This is an existing home easy to convert to your own business, in front of Walmart! Can't get a better location. Variety of commercial uses to serve commercial & residential needs. List of General Business District Uses available in documents. 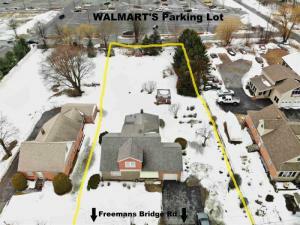 Free Standing ±6,400 sf bldg adjacent to Price Chopper Supermarket. Neighboring retailers include CVS, Rite Aid, Family Dollar and Luk Oil. Great visibility and signage. Access via traffic light. Over 17,000 shoppers per week frequent Price Chopper. 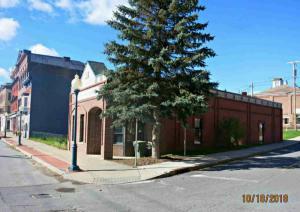 Great commercial building in South Glens Falls. High traffic rd . Many uses for this building. Currently setup as restaurant. 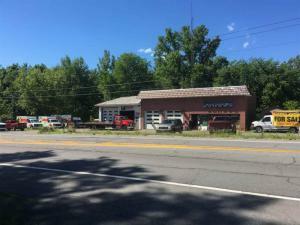 Highly visible commercial building on busy Rt 9 just north of Grooms Rd. Currently operating as a barber shop, many possible uses in the C-1 zone, see "docs" for the possibilities. 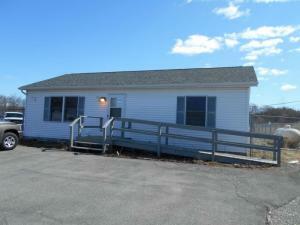 Previously split into two rental suites, owner will consider leasing, call for details. DOT traffic study shows over 24,500 cars a day past this site, highly visible signage in a stand alone building provides great opportunity to expose your business and reduce advertising costs! Please do not disturb current tenant. 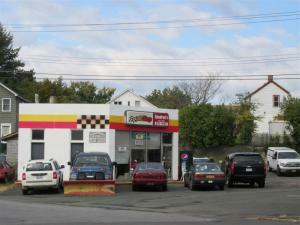 Prime commercial location on corner lot building has been used as a Auto Repair Shop and Tires sales for over 60 years! owner has also added drive through touch less car wash. Building also has 2 bed room apartment above shop with rent at $750. per month. 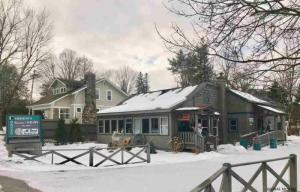 Landmark Restaurant in operation for over 50 years across from Schroon Lake.Building is currently used as a restaurant but could be farm and garden, general store, brewery, brew pub, deli and cafe..... The possibilities are endless. Valid OP liquor license. Price includes furnishings and inventory.... Completely turn key. 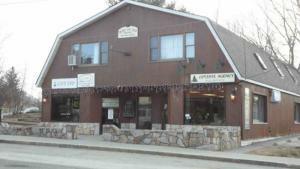 Features attractive bar/pub with fireplace that seats 100+/-. also outdoor deck with filtered view of the lake. 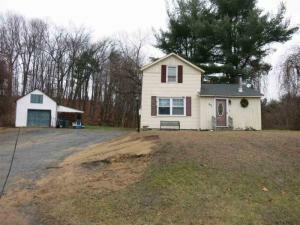 2 outbuildings: one has bedrooms, bath & kitchenette. the 2nd has storage & workshop. Ample parking. Access to snowmobile trails. 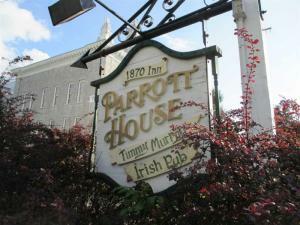 Iconic Albany Pub. Seating for more then 75. Hugh 35' bar seats 20. Popular front deck. All equipment is included. Large dry basement has two walk in coolers and plenty of storage. Zoning has been grandfathered in allowing for the establishment to be open until 4 AM. This is a turnkey business. 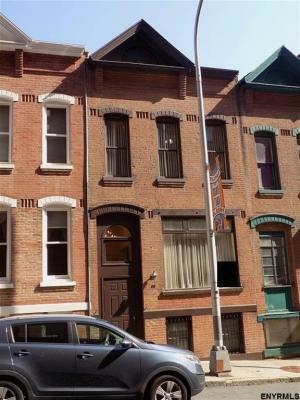 The second floor has a 3 bedroom apartment renting for $800 per month along with a garage/shop renting for $500. 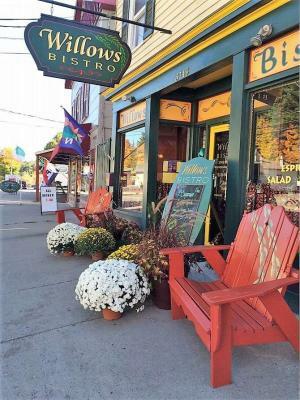 Landmark Restaurant in operation for over 50 years across from Schroon Lake.Building is currently used as a restaurant but could be farm and garden, general store, brewery, brew pub, deli and café..... The possibilities are endless. Valid OP liquor license. Price includes furnishings and inventory.... Completely turn key. Features attractive bar/pub with fireplace that seats 100+/-. also outdoor deck with filtered view of the lake. 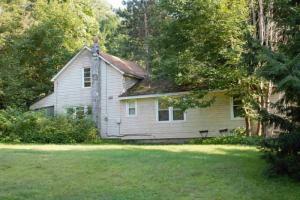 2 outbuildings: one has bedrooms, bath & kitchenette. the 2nd has storage & workshop. Ample parking. Access to snowmobile trails. Own your own business or rent out the already separate spaces, possibilities are endless. All spaces have separate utilities. All equipment is negotiable and not included in sale price. 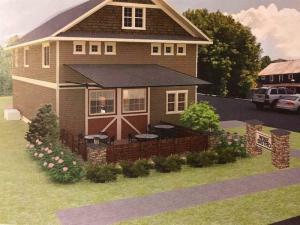 The home next door also w/property has been approved for retail on first floor and 2 apartments above plans available. Large barn also on property, in great condition. Over an acre here, plenty of parking. Road frontage on Knox cave road and Berne Altamont road. Bring all reasonable offers, agent to accompany. 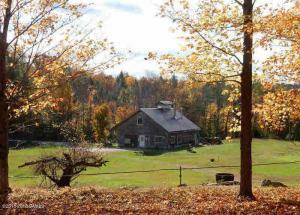 Scenic 4.8 acre parcel overlooking creek and waterfalls. 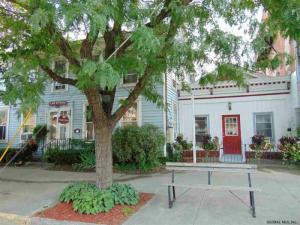 4164 sq ft bldg with apt previously used as a restaurant. Zoning allows many commercial with mixed use properties. Prime location. Front portion is beautiful brick. Owner willconsider holding mortgage with 20% down payment. 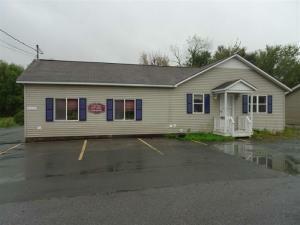 Here's a prime Lake George commercial property ready for new owner & vision. 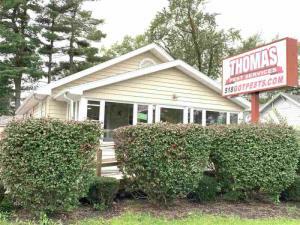 Tract sits nicely on a busy section of Lake Shore Dr., surrounded by other businesses, campgrounds & motels. Rock-solid potential for seasonal or year-round enterprise. 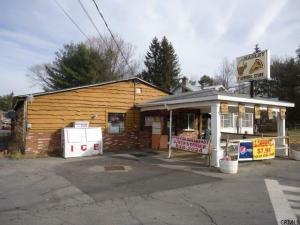 Parcel includes 2 structures: An existing business (Caldwell Country Store) and roadside garage. Was formerly a motel, owner installed new 1K gallon/low-flow septic; uv water system; new floor joists to code, new bathroom and more. Traffic pattern & location = win! 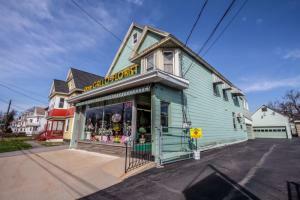 Prime Main Street Location with an Outstanding Investment Opportunity! It is presently being used as a salon and a recycling redemption center. Off season income = selling Christmas trees, camping wood, ice and propane tanks. Plenty of parking. Brand new handicap accessible bathroom. New split air system and entire building insulated with spray foam insulation. 1000 gallon septic. Town water. 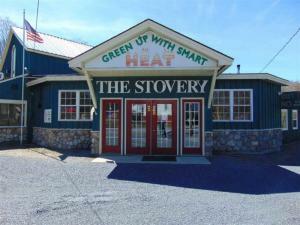 Located right near exit 25 off I -87. Abbott's Restaurant for sale. 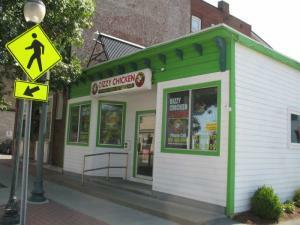 One of the longest standing businesses in SGF Village. Financials available upon request and NDA. Potential 2nd floor residential. Private parking in rear of building. Average Daily Traffic count: 19,830. Listing Courtesy of: Levack Real Estate Inc. 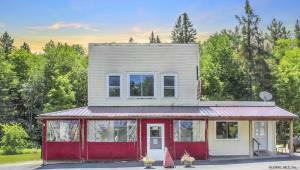 Many possibilities with this former hotel, 3-floors, 8600+ sq/ft w/ beautiful views of Lake Algonquin. First floor has a commercial kitchen with ansul system. Extensive dining area, library and lounge. Second floor with 12 BR's and and 5 full BA. Third floor has 4 large BR's with en suite BA's Storage throughout. Paved off-street parking lot. Recently renovated top to bottom. Utilities, septic, security system etc. Too much to list. Must see to appreciate! 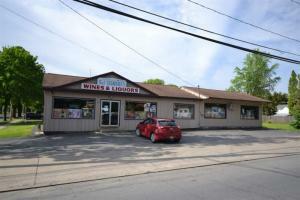 Commercially Zoned property in ideal Queensbury location! .67 acres located off the corner off Quaker Rd and Glenwood Ave. 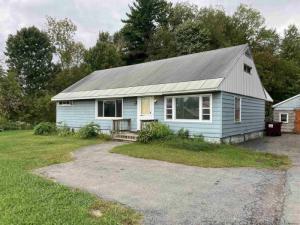 Currently has single family home and machine shop with apt above and large detached garage or additional business space! 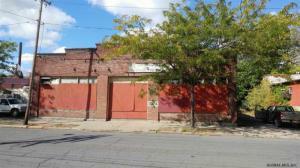 Terrific opportunity to own a building in the up and coming NOWARE (Albany's Northern Warehouse District). Newer roof, only 5 years old. 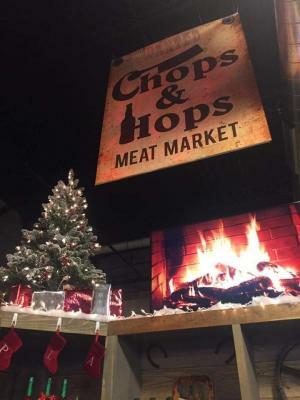 Perfect location for FOOD HALL with vendors and merchants already on board to make this venue the areas newest hot spot. Architectural conception drawings available with a signed NDA. 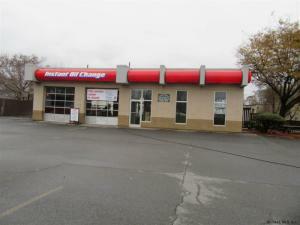 Tremendous foot traffic and high visibility make this an ideal opportunity. A must see!! Nights and weekends parking is available! 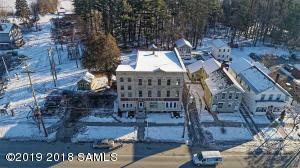 The most spacious building currently on the market in bustling little town of Schroon with four income producing spaces, all currently rented, Two, two bedroom apartments upstairs, Higher Grounds Coffee Shop and Upstate Agency rent on the bottom. Excellent visibility - right next to Stewarts. Apartments are oversized, bright and refreshing. 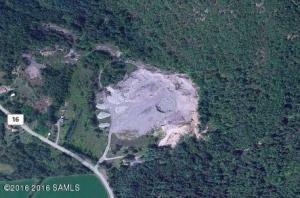 Possible business opportunity to purchase Higher Grounds~ Please Inquire. Don't forget all of Schroon Lakes Amenities as well practically in your back/front yard: State boat launch, town beach, library, bank, pharmacy, prominent local businesses, basketball and tennis courts, ice skating, ice fishing....Don't let this one slip through your fingers!!! Great new price! Owner will hold paper up to $200k. 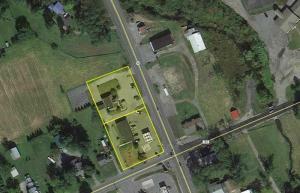 Full acre corner lot zoned light industrial with potential for a second building. 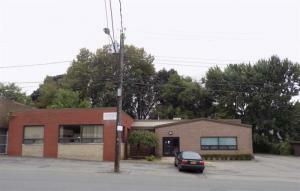 Current 1600 SF building has two service bays, office, front desk & upstairs apartment w/ storage. 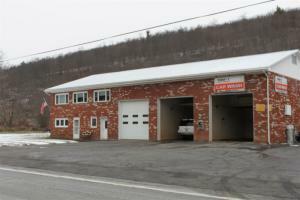 Current land use is Auto Repair - NYS Auto Inspection Station & License available with purchase. This great location offers many options with ~190' frontage on Parkford Drive & ~210' frontage on Solar Drive in the Parkford Planned Development District. 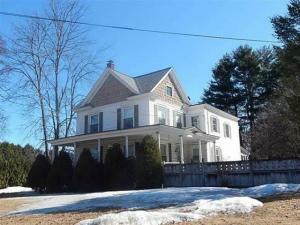 Just off 146 with easy access to I-87. Extremely motivated ownership! 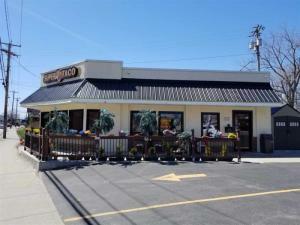 Successful, turnkey year round restaurant and bar / or excellent retail development location. Superior accessibility, supreme visibility. Spacious newly renovated dining area. Seats up to 150 patrons. Popular outdoor patio w/ canopy + banquet area. Office, plus 3 bedroom apartment on 2nd fl. Approved for drive-thru service. FORMER CONVENIENCE STORE. 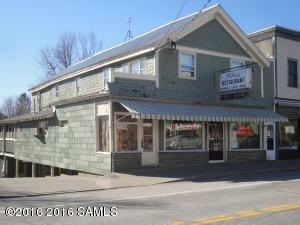 GREAT CORNER LOCATION IN THE HEART OF RAPIDLY GROWING VOORHEESVILLE, NY. OVER 400 NEW HOMES PROPOSED IN THE IMMEDIATE AREA. NEW ROOF 2007. NEW HVAC 2005. MUNICIPAL WATER & SEWER. DEED RESTRICTIONS PROHIBIT FUTURE CONVENIENCE STORE USE. MANY OTHER POSSIBILITIES - INCREDIBLE OPPORTUNITY FOR RETAIL OR OFFICE USER! Prime Route 9 Location zoned L1. High visibility and car count. 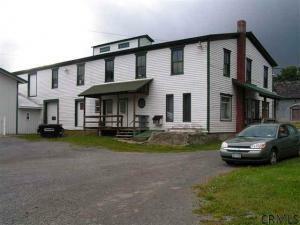 Currently used as a single family home, but plenty of opportunity for a business use and also land to expand. Multiple use cases with L1 Zoning. Contact Listing agent with questions or to set up a private showing. Listing Courtesy of: Sterling Homes Inc.
Investment Opportunity!!! Mia's Pizza shop and 3 bedroom 1 bathroom home being sold as one. Both have leases in place. Buildings and land is for sale. 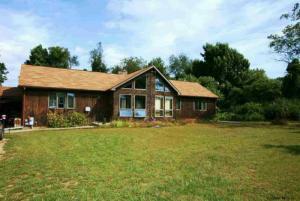 Home sits on 4.39 acre lot and the Mias pizzeria is on .30 of an acre. Great location and very high car count about 20,000 cars daily. Unique log building. One to two stories, currently vacant. HIGH TRAFFIC location on main route to Vermont from Lake George area. 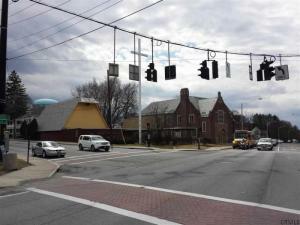 Located st busy intersection [Bay Road] with traffic light. Traffic all year. Possible use for office or retail, or combination. Good for real estate office, antique shop, law office, etc. Immaculate 3 story brick building with so many options. 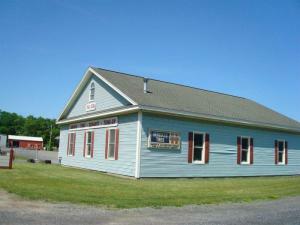 Offers great office space, storage, and store front. Multiple offices. Long term tenants. This property turns a great profit. Agent related to owner. A handsome Shaker style building with a stunning contemporary interior. 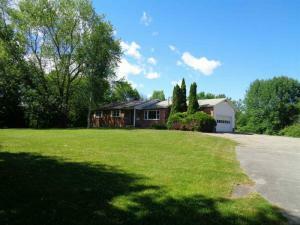 Set on 4.5 manicured acres with a lovely pond, right in the heart of the village. Plenty of parking. Potential for offices, retail, spa. Restored and designed by a well-known engineering firm whose business resided here. 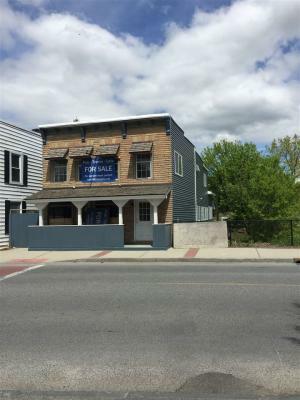 Listing Courtesy of: The Kinderhook Group, Inc.
One of a kind highly visible Niskayuna location.Presently being used as an attorneys office. Ideal for any type office or professional use. 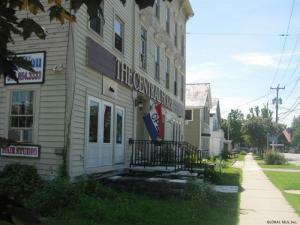 Catskill NY Restaurant Apartments - great location. 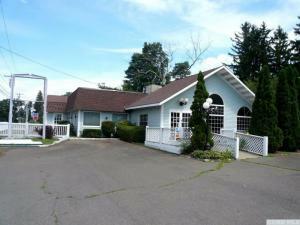 Great opportunity for cozy restaurant, fully equipped, money making location at the crossroad in Catskill Village. Monthly income $2700 ($1200 for restaurant and $750 for apartments. 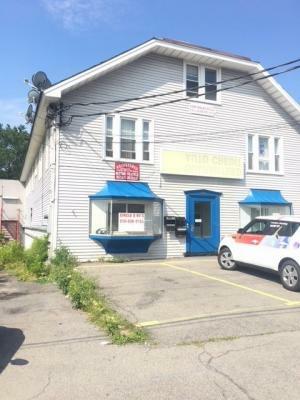 Catskill NY Convenience Apartments Great Location 12414 – 3500 SF great investment opportunity for operating convenience store and apartments in Catskill Village. Highly visible! 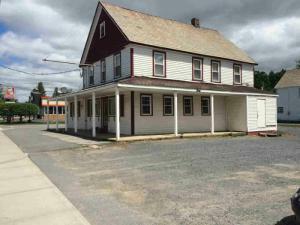 Prime 1.26 acre commercial property with 400+ Ft of frontage on busy Route 50. 4 Curb cuts on Route 50 and 1 curb cut on Park St. Great redevelopment opportunity. Value is in the land. Close to I-87, SPAC. Phase 1 and 2 environmentals have been completed. Buildings are in need of repairs. Property sold "As Is". Taxes are estimated. Actual taxes will need to be verified. Prime I-88 Exit 21 to Cobleskill. 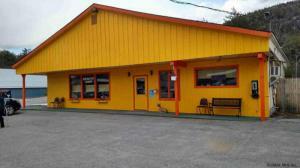 Ideal for truck stop, motel/restaurant, shopping mall, large commercial buildings and outlets. 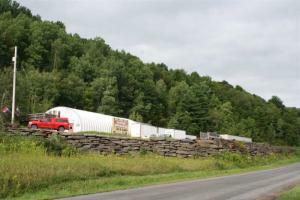 Road frontage on State Route 7, Route 10, Hite Road and Exit 21 of I-88. Busy exit from Schenectady to Oneonta. Excellent road visibility. Owner financing available. Former hone to the Sheet Metal Union Training School. Administrative offices, training rooms, and large warehouse with overhead door. Plenty of power, HVAC throughout, 3 sets of restrooms, security system. Lots of parking. LOCATION! Year-round visibility & drive-by traffic at the busy intersection of 149 & 9L/Ridge Rd for a tremendous opportunity to your retail venture. 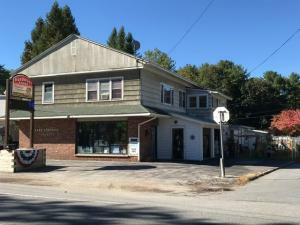 3BR/2B residence + add'l retail building faces Route 149 offers fabulous exposure and convenience for your business. 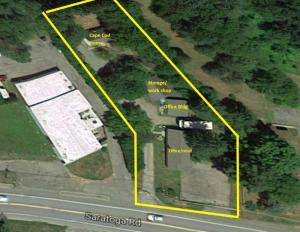 Vacant land along the busy Route 9 corridor in Wilton available! 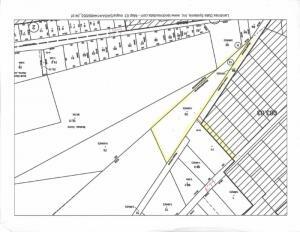 Lot #3 is 11.83 acres and is zoned CR1. Uses in this zone include retail, restaurant, veterinary hospital, health services, day care centers, office, bank and single / 2 family dwelling. Property was recently subdivided and survey map is available. 3.65 acre lot in commercial use area of town. 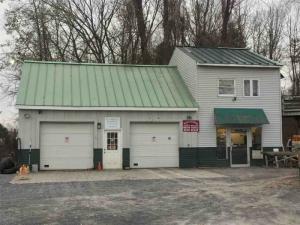 Property received use variance for market/convenience shop with gas in 2006. Survey and use permits available upon request. 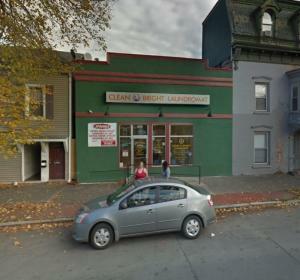 Laundromat , two-family/office and parking. Rare off street parking and opportunity for redevelopment in the heart of Albany. Mixed use and commercial space available. 4 off street parking spaces available. Upstairs tenant is set to be month to month shortly. Call for more details. 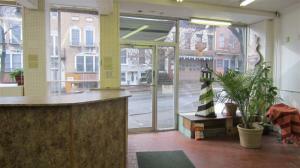 Great retail space with handicapped accessibility and private parking lot. 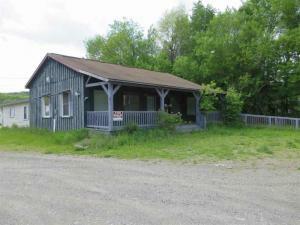 Property offers 1886 SF building, corner lot, private parking lot and 4.17 acres. High visibility on Route 29 / Lake Ave. 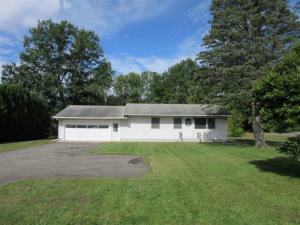 Possibility for lease with an option to purchase. Multiple Rental Units- All Separate Utilities. 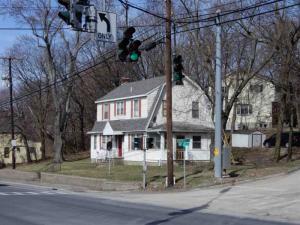 Great Income Property, Located on State Route 4, High Traffic area, city water and sewer. 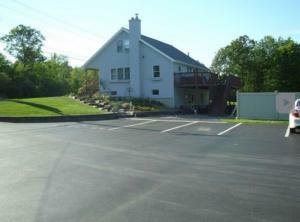 5 Rental Units (4 Commerical 1 Residental) Paved Parking. Adjoins MLS#201615607 . This would give an additional 133 ft of rd frontage and parking for the commercial property and house next door if purchasers for that property needed more land an additional .88 acres for a total of 3.3 acres. There is a right of way for additional parking. 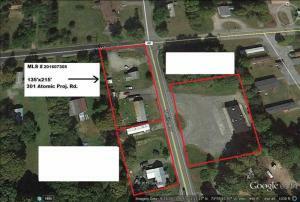 Fantastic opportunity to purchase/lease a great location, 1.46 surveyed lot, seller is willing build to suit. Contents not included. 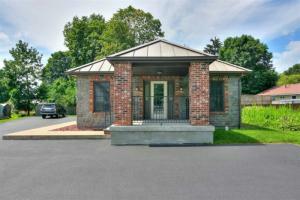 Beautiful, convenient and excellently maintained professional office bldg. 10 Private offices on 2 floors, plus reception area, conference room, bullpen area, kitchen and cold storage. Private parking for approx. 20. Perfect for any office use and retail. Zoned T5 . 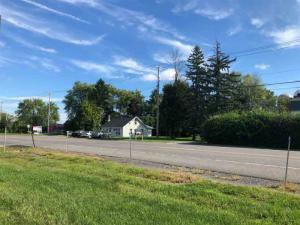 This 2.2 acre property is located approx 1.2 miles from Broadway, close to the hospital, medical complexes, train station and the rapidly growing West Ave Corridor. Many possibilities for use (current house would need to be removed). 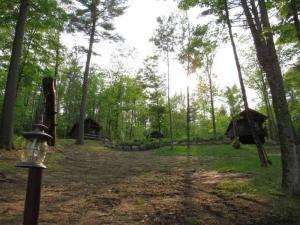 3 beautiful year-round cabins newly built (2014. 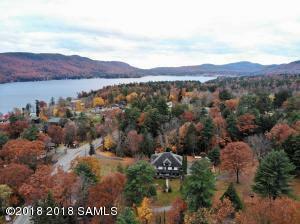 All with filtered views of Schroon Lake and only a few minutes drive from Schroon village. Each cabin is 14'X26' with 4'X14' open front porches with fans. Underground power. Water and sewer installed. 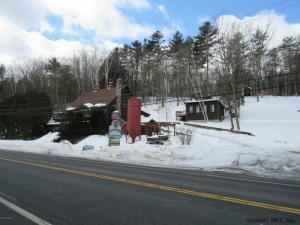 Adirondack Gold is a quaint Maple Syrup farm in Thurman about 20 minutes from Gore Mountain. 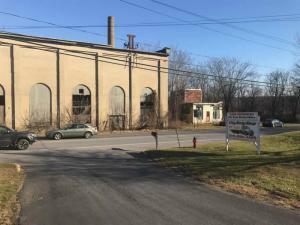 Property has 32 acres with approximately 700 taps with room for about 300 more, a 2200 sq ft modern production facility. 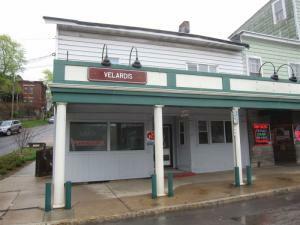 A rare opportunity to own and operate a family restaurant with a storied tradition in Granville, NY. 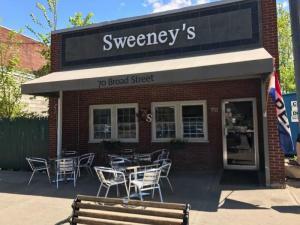 This restaurant has recently had major interior renovations with a focus on the bar, and dining room seating areas receiving complete overhauls. 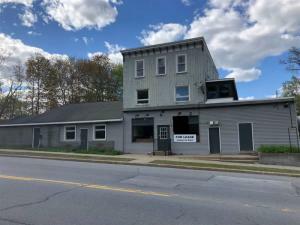 With endless opportunities to host events in the dining and hall rooms, parties in the pub and bar, or capitalize on the already established pizza and pub menu take out business, this opportunity is calling for motivated entrepreneurs! For many years, this location has been the meeting point of the neighboring high school visitors following year-round athletic and extracurricular events on campus! 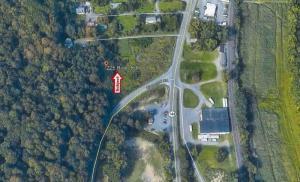 Vacant land along the busy Route 9 corridor in Wilton available! 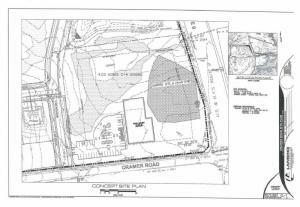 Lot #2 is 5.87 acres and is zoned CR1. Uses in this zone include retail, restaurant, veterinary hospital, health services, day care centers, office, bank and single / 2 family dwelling. Property was recently subdivided and survey map is available. Endless possibilities! 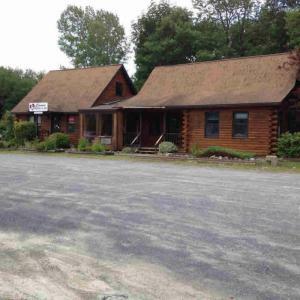 This property has it all with a well established restaurant/bar, a pavilion, 2 apts and a 3 bedroom house all on 4.9 acres with snowmobile trails. Let your mind run wild with different possibilities to use this amazing property for! 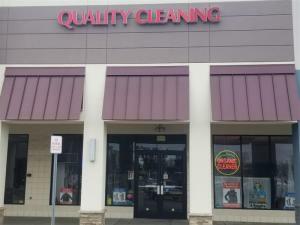 J&H Quality Cleaning business for sale. 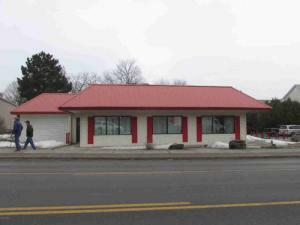 TURNKEY investment opportunity with prime location in Clifton Park's Market 32 Plaza. Steady, established clientele. All equipment comes with the purchase of the business. Owner willing to stay on for no additional fee for 1 month to get new owner off and running. $8,000-$10,000 NET profit per month. Contact Drew Reynolds at 518-788-5097 for more information! 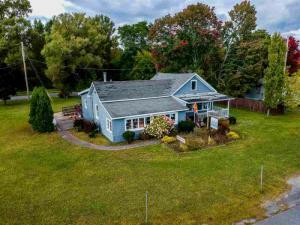 PRIME COLONIE LOCATION! 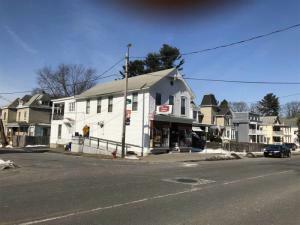 This property is perfect for the next owner who wants to take advantage of this highly visible location on one of the Capital Region's busiest/highest traffic count street. The building has been completely renovated within the last few years and is in move in condition. Offers central air, separate office spaces, large open space, kitchenette, tons of storage with a full basement. The building has tons of flexibility options and has a added bonus with the detached 3car + garage. 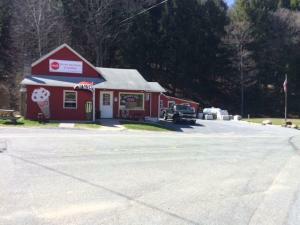 MONOPOLY-Durham Valley Liquor Store + Ranch Home FOR SALE! Only 1 Package License allowed by NYSLA in Durham based on population. 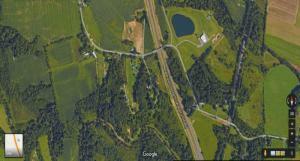 Great location @ SR 145 (3,607 Vehicles/Day) & CR 20B intersection. 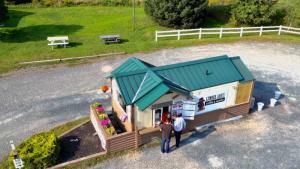 Owner retiring, new owner could easily add LOTTO & SR 145 Food Truck. 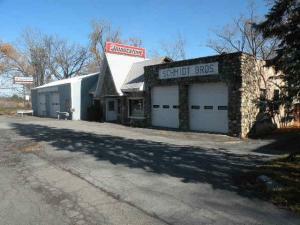 Adjoining 800 sf Brick 2 brm 1 bth Ranch included in sale. 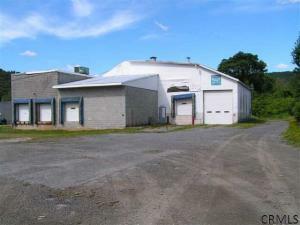 This property includes both a manufacturing facility with 15,437 sq. 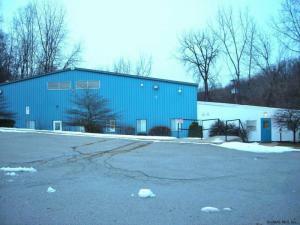 ft, ample office space, and three loading docks, as well as a separate warehouse with 3,840 sq. ft. and an at-grade, tall overhead door. Open a successful business in a prime location. FOR SALE OR RENT!! Turn key restaurant and tavern located on Palmer Ave. First floor renovated in 2013. Potential for upper floors to be renovated/converted into residential apartments for additional income. 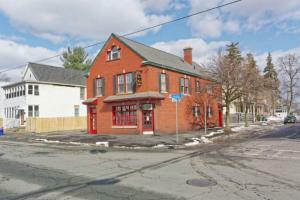 Prime opportunity for one to bring a sports bar/tavern/restaurant offering to the community. Excellent location and terms. high traffic count Wonderful for any business. Lots of parking! 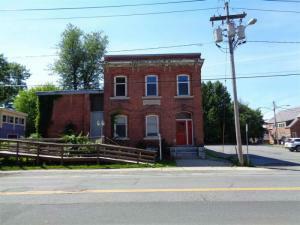 Free standing commercial building on high traffic road in Cohoes. +/- 4000 sq. feet above ground with partially finished walkout basement. 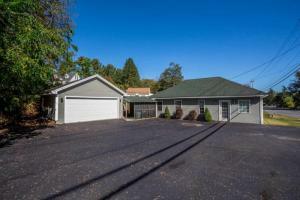 Detached two car garage with additional 10 car parking lot. 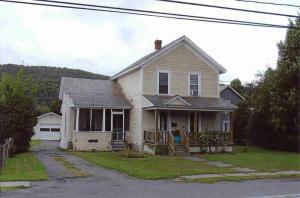 Upstairs includes 4 Bedrooms, 2 full bath, living room & dining room. Great Location with excellent visibility to the road. 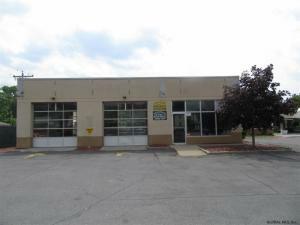 6,000 square feet of commercial property awaits your business! 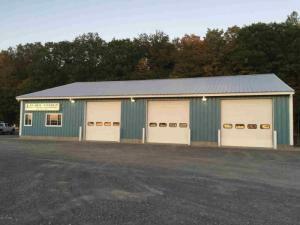 Garage is 4800 square feet with 3 12x12 & 1 12 x 14 overhead doors. High ceilings & very clean. Large open office space with a conference room. Full kitchen off office area with stainless appliances. Full bathroom on first floor. Upstairs there is a great room with a wet bar and 2 bedrooms. Ample parking and space to expand or build a house. 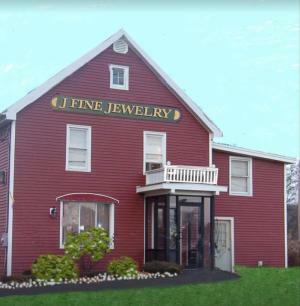 Conveniently located between State Route 40 and Route 196. 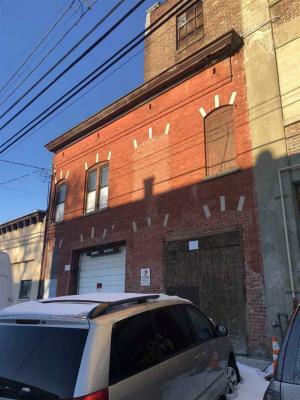 Newly listed for the first time, this property can house many types of commercial operations and can be converted to residential use. 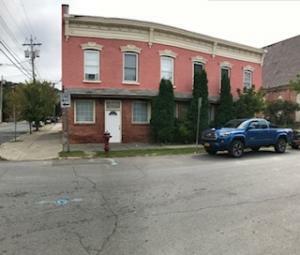 One of the properties is currently a residence and the other one is commercial, Zoning for this area is both residential and commercial. This building main front area has an open design with exposed beams for use as a showroom with a large attached warehouse and upper levels ready for finishing. 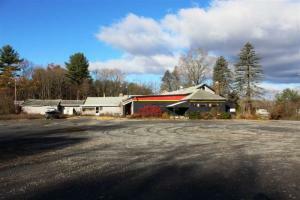 This is an excellent opportunity for commercial development 3 miles south of i 90 exit 12. 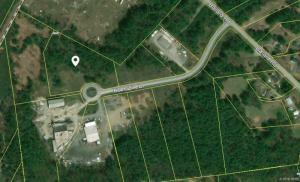 Now priced to sell both parcels have a total of 3 acres with 453 sq ft of road frontage. 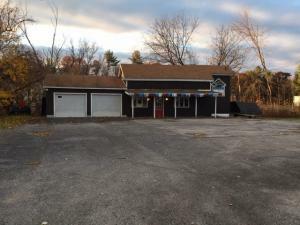 This one parcel has 2.15 acres and 320 sq ft of rd frontage and has a former restaurant with 3500 sq ft and also a two story four bedroom home. The additional parcel, MLS#201615609 There is a right of way for additional parking. Excellent Investment Opportunity. 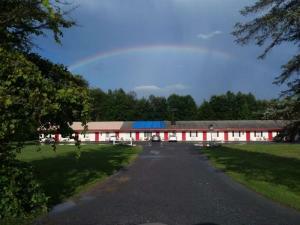 46 unit self-storage facility. Great cash flow, low vacancy rate. 18 (10x20) at $99/month; 6 (10x15) at $89/month; 19 (10x10) at $69/month; and 3 (5x10) at $49/month. Strong rental history. Owner financing available. Existing State Police barracks, Cobleskill. This brick building with new windows, is presently used as a doctors office, Waiting room , handy cap accessible, off street parking. This property has many uses. Investors and Owner/Operators take note! 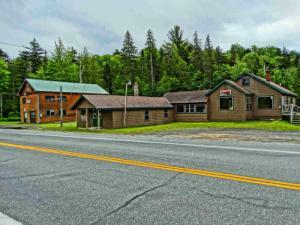 In the Adirondacks, this nicely maintained Indian Lake Motel & Apartment complex is now available for sale! 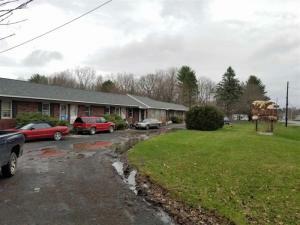 Project includes 4 buildings, 15 total units, 11 Apartments ranging from Studio to two bedrooms, 4 Motel Units, Large landscaped 2+ Acre town lot, Public water and sewer, approved and subsidized by HUD, long term tenants with annual leases, large parking, 2 garages for storage, Outdoor Wood Furnace, nice grounds, turn key operation! Don't miss this one! Great rt 9 location. High Visibility. easy travel to I-90,Thruway, Taconic State Parkway or Hudson NY. Owner is a builder. Great office ,Retail location. this property is about location. Great investment property. 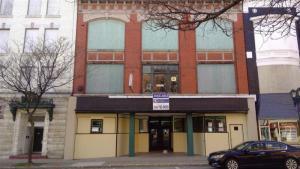 The first floor is currently a night club recently renovated and in excellent cond. A turn key bus. The owner want to walk away leaving everything. All refrig's. coolers ranges, several TV's, etc. Second floor can be used as office space or an apartment. Two new boilers and H/W tanks A three car garage. A handicap ramp. A must see listing. 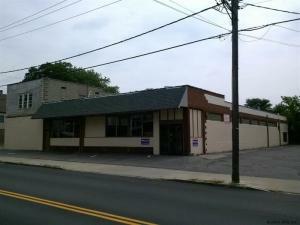 Approx 7900 sf building with loads of potential uses. 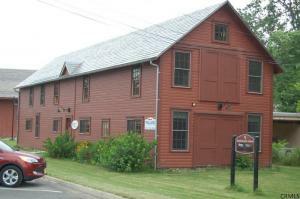 1st floor is currently used as a commercial business and warehouse space. 2nd Floor is a fabulous open 3950 +- SF residential loft and open apartment. The 2nd floor features an open floor plan with 2 bedrooms, 2 full baths and a huge generous office which could serve as a 3rd BR. 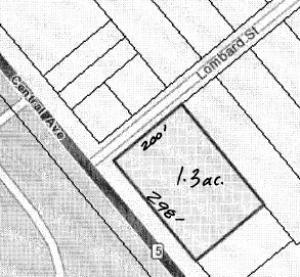 An additional bonus is an attached vacant lot - perfect for lots of parking or a future additional building. 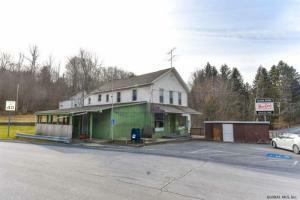 This is the perfect opportunity for an owner occupied grocery/restaurant/tasting room. Have a food truck and looking for brick & mortar? Looking for a space to start your catering business and/or cooking classes. 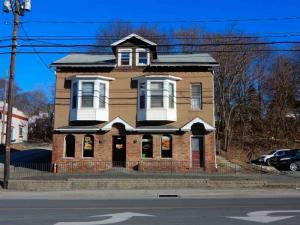 Incredible opportunity for a fully equipped restaurant PLUS a completely renovated 3 bedroom apartment attached. 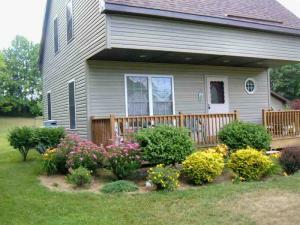 Located adjacent to Kinderhook Lake and 5 minutes to I-90. New roof, windows, heat pump(AC&heat) and kitchen build-out. HUGE walk-in cooler. Backyard picnic area that has a large deck. High Traffic!! well established 15 booth hair Salon, all updated, 2 dryers, 3 sinks, waiting area, all updated electrical. Tip top shape. Call listing agent for details. Turn key, all inventory included! 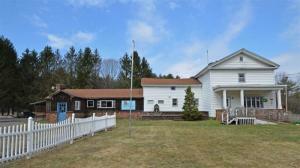 Commercially zoned property with 538' road frontage on busy Bay Rd. 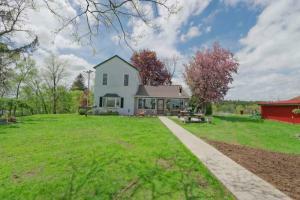 Impeccably maintained farmhouse with unique multi-use opportunity: residence/professional office space, or convert to 100% commercial space. 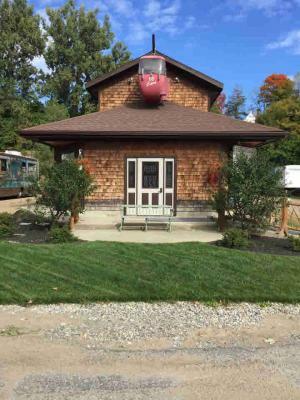 Large 2 car detached garage and workshop with plenty of room for parking. All new mechanicals: high efficiency furnace, 200 amp electrical service/panel box, 50 gal hot water tank. Property has been pre-inspected, report available. Building only for sale. Completely remodeled and refitted. 12000 cars per day traffic count. New roof, HVAC, mechanicals, etc. 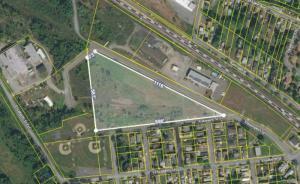 Great potential for delivery business with proximity to SUNY, Nanotech, Railroad Avenue, and Central Avenue. FFE may be purchased separately. Large commercial vacant lot in fast-developing Malta. Minutes off I87 near exit 12 & Global. Suitable for several different business uses. Well maintained building with town water and sewer available but not currently connected. Ideal for manufacturing, R&D assembly and distribution etc. Rental possible for $3600.00 a month. PARKING, PARKING, PARKING! 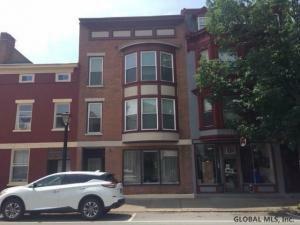 Fantastic downtown Commercial/Mixed use building with 35 parking spots and an awesome location has everything you're looking for. 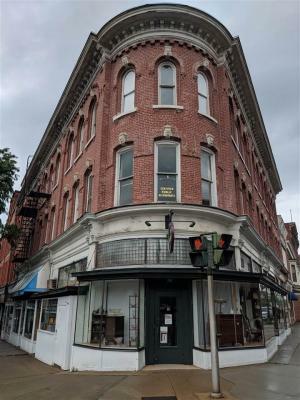 Busy business area, parking, easy access to major roadways, beautiful woodwork and historic charm, and a 4 bedroom apartment on top floor with generated additional income. Parking lot included in sale or owner will consider a lease on parking lot only. Long Standing, well established, turnkey restaurant in Amsterdam with charming apartments above. All FFE included and seller financing is possible. Great Opportunity, in rapidly improving area, to continue serving its loyal customers. Restaurant seats 125. Exclusions on file. MONEY MAKER! 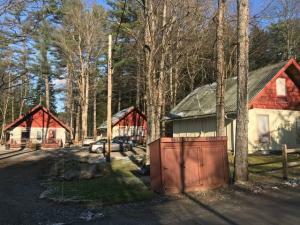 Each of the 3 chalets gets $900/week year round!!!! Steady Air BNB as well. 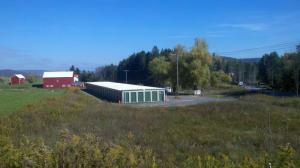 2 septic tanks generator and RV hook up, large yard with fire pit, and a shed to store kayaks. 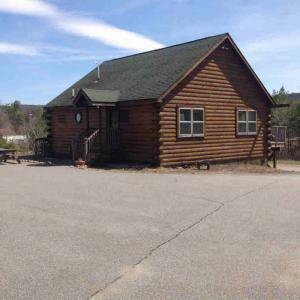 Northwood's HOA for only $150/yr allows lake and boat access to Forest and Allure Lake, and over 600 acres of horse/ ATV/ snowmobile/ Adk hiking trails and gun range. Across from the famous Longhorn Restaurant! Near ski resorts, Saratoga/Lake George. Building and business for sale. State of the art machines all coinless. Automated, very clean facility. Vending machines, security cameras, TV's everything needed for turn key operation. Financials available upon request for qualified buyers only. The seller is motivated and looking to sell. 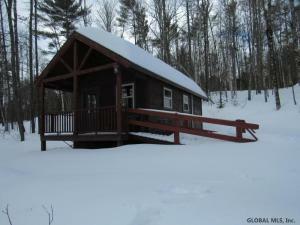 Listing Courtesy of: Heer Realty, Inc.
2000 sq ft. log building. Currently leased by Coca-Cola Refreshments (Tenant) as a regional distribution center. Triple Net Lease ends 12/31/2019. 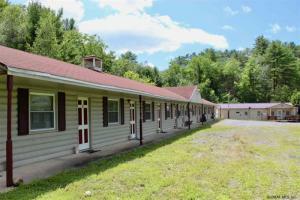 Located just a few hundred yards from Exit 25 of I-87. Overhead door access. Great location for an entrepreneur to create your own business. Like "NEW" completely renovated in 2014/15 - 1st floor is presently the Persian Bite Restaurant with seating for 60 - 15ft. Hood system & sinks are already set up & ready for you to open your own restaurant/café/coffee house/wine lounge/small banquet catering, free downtown Internet accessible - All/some of the equipment & furniture in restaurant is negotiable - 2nd floor has a Lg 2 bedroom apt. 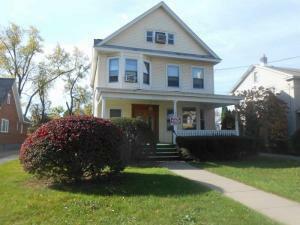 previously owner occupied - Off street parking for 6 - 1st floor handicap accessible. 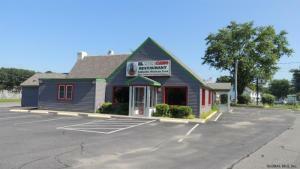 Fully equipped turn key restaurant available for sale. All kitchen equipment and bar equipment is included in sale. The current owners ran a successful Mexican restaurant for 10 years at this location. On major high traffic state highway. 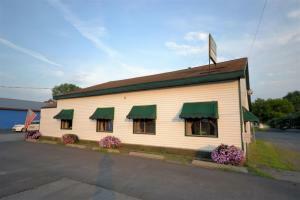 Agent to Agent Rmrks: Fully equipped turn key restaurant available for sale. All kitchen equipment and bar equipment is included in sale. The current owners ran a successful Mexican restaurant for 10 years at this location. On major high traffic state highway. 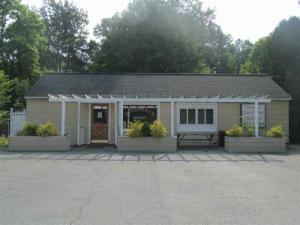 Fully equipped turn key restaurant available for sale. All kitchen equipment and bar equipment is included in sale. The current owners ran a successful Mexican restaurant for 10 years at this location. On major high traffic state highway. 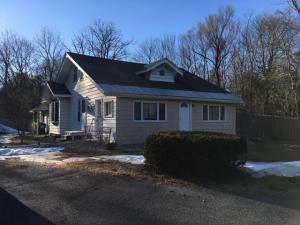 AWESOME INVESTMENT OPPORTUNITY IS THIS 5 UNIT IN PRIME SCHODACK AREA. MAIN UNIT IS FORMER BELVEDERE RESTURANT (CURRENTLY NOT OPEN) WITH EQUIPMENT. SEATS 160 CAPACITY WITH AMPLE OFF PARKING. 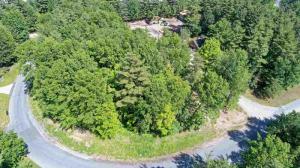 1+ ACRE LOT. 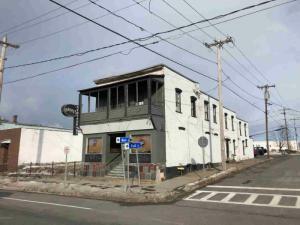 ALL OTHER UNITS FULLY RENTED (1-2 BEDROOM UNITS) BUILDING & RESTAURANT IN NEED OF SOME LOVE, TLC & YOU. CURRENTLY BRINGING IN 30K + INCOME ANNUALLY. POTENTIAL TRUE $$ MAKER RIGHT HERE WITH POTENTIAL OF $5K+- INCOME MONTHLY. MAKE US AN OFFER TODAY AND START COLLECTING NICE RENTS OR WORK AND LIVE FROM HOME. 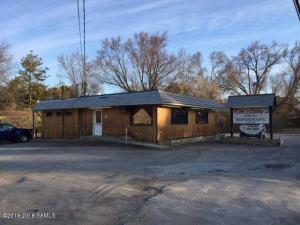 This solid ready to go Commercial building has many possibilities! 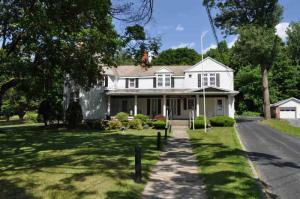 It is located on a main road for great exposure and has been impeccably maintained . The owner is ready to sell!! 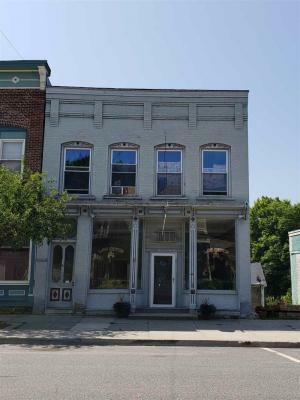 Well cared for commercial building w/ total of 5 apartments & a large store front. 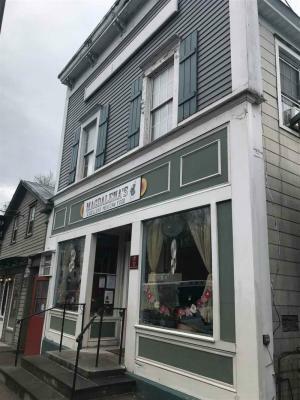 Established antique store, Settlers Block is on the 1st floor, approximately 2,240 square feet w/ 3 bathrooms.First floor is an open space and has 2 large display windows. 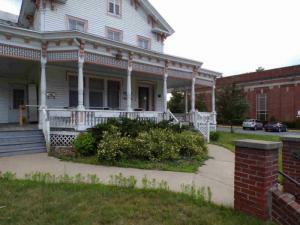 2nd floor is 3 apartments&3rd floor is 2 apartments.Full basement w/ plenty of storage. 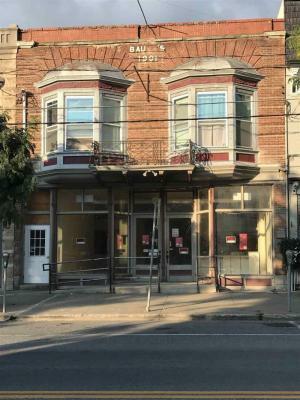 Updated furnace & electric entrance.Hardwood floors in all the apartments.This is a well-cared for building w/ endless possibilities.Plenty of off street parking. 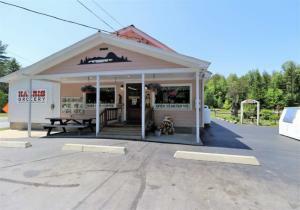 Endless possibilities for this country store & restaurant. 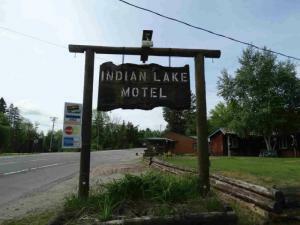 Located on busy State Highway in a lake community attracting many summer and winter activity enthusiasts. Operating over 75 years offering many recent renovations & improvements. Fireplace creating warmth & welcome atmosphere. Also includes 2 bedroom owners apartment. 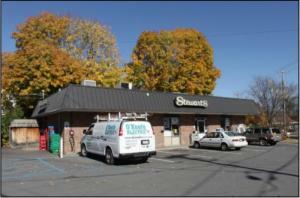 Fully leased former Stewart's. Currently Leased to Case Kitchen Supply. Listing Courtesy of: Glebus Realty Inc.
huge price reduction from original llisting price.Unique Commercial Property on 1.29 acres. Very Visible High Traffic Area. 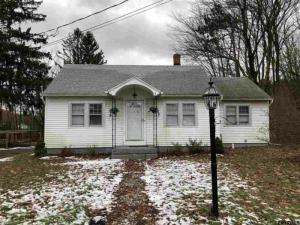 Property has a 1 Bedroom Bungalow Cottage and 6 Cottages in need of repair. Great Potential for Commercial Use. Call Listing agents for additional information. Turn key and profitable business! 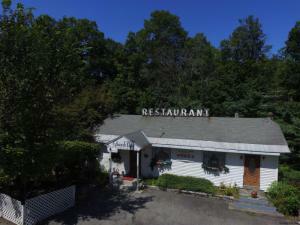 Conveniently located on highly traveled NYS Route 32 (Dix Ave). Presently operating as J.C.'s Corner Deli & Market. New walk-in coolers Spring 2018 and A/C unit in the deli & market. 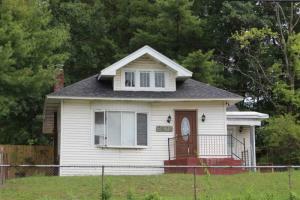 Attached house includes 4 bedroom, 1 bathroom apartment producing income or great for owners to live and work. 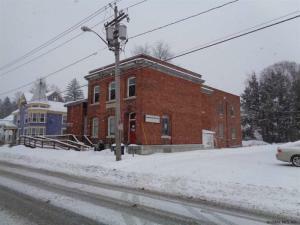 Former bank branch for sale or lease. Bank branch totals 2,017 SF. Call LA for details. 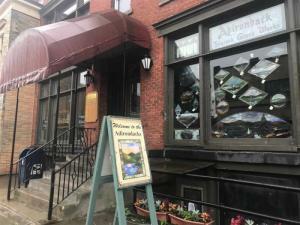 This recently renovated restaurant in downtown Glens Falls is ready to go! 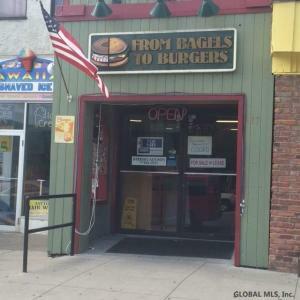 The location is perfect for restaurant, take-out, tavern, office/retail & more. Floors, roof, furnace are all redone &/or reinforced. There is new duct work, control board on furnace, grease trap & lines, bathroom, solar hot water system and walk-in cooler has new refrigeration. Freshly painted in & out w/off street parking for 3 cars. All equipment & furnishings are optional which makes this truly a turn key opportunity. 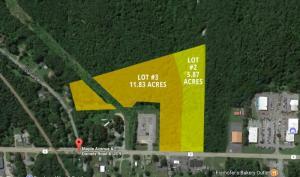 2.9 acre parcel located on high-traffic route 30. 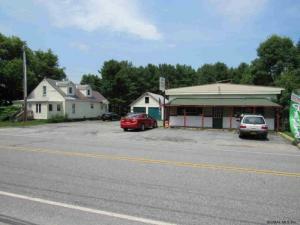 Lot has 250 feet of frontage on Rt 30 and is located along an area of retail and commercial development. Two billboards currently located on the lot. 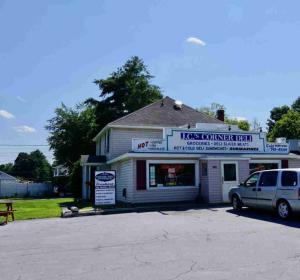 Broadalbin - DRASTIC price reduction..owner says sell this store now! 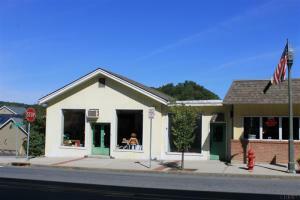 6250 Sq ft commercial bldg operated as a grocery store for decades. NEWER ROOF of over 50K and a new DELI CASE of 30K. Structure is in good condition w/public water & public sewer. 90% of the equipment goes with the sale... Large enough to divide into several enterprises. Bring your culinary or retail expertise. Capture the lake traffic all four seasons. Work for yourself... showings confined to operating open hours. Current DBA and grocery inventory is NOT included. 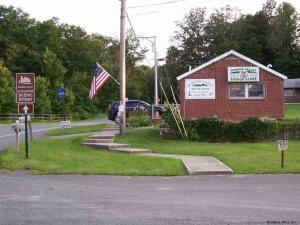 Sale includes 697 & 705 Hoosick Rd. 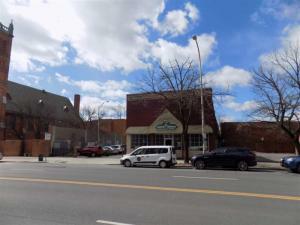 Mixed use includes 5 apartments and 1 commercial storefront with franchise leased through 03/2023. Some apartments need TLC. All sep. utilities. Ideal for existing use or other commercial use. Taxes reflect both properties. The FORMER PELLEGRINO'S IMPORT GROCERY STORE + APT w/ seperate entrance. Big, beautiful storefront at sidewalk level. 34 ft frontage. REAR PARKING (6-8 spaces). Big sidewalk level windows, quarry tile floors. Tin ceiling. Central air. Rear has several rooms inc. a small tiled "kitchen" w/ big sink. Storage room, big open spaces. 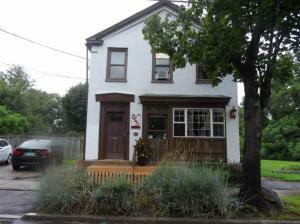 Approx 700 SF+- additional rear space + basement. 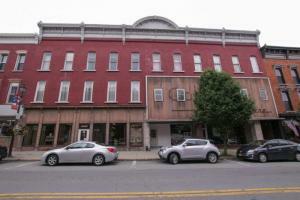 2nd floor: extra large 2+ BR apt w/ hardwood floors. Currently rented at $975/mo+ utilities (paid by tenants). Month to month lease. Store immediately available. Was rented as a mini mart store. Wonderful block in the Historic Mansion District. 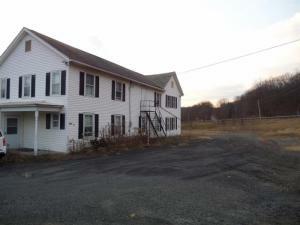 Converted motel into 7 units( 6 units occupied) 4.88 acres with 243' of road frontage in this mixed use zoning on busy Rt 50. 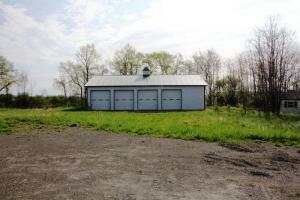 Sale includes a 40 x 80 enclosed pole barn w/power in the rear of the property(great storage). Lots of potential here, residential, professional office, medical, retail. Call to discuss options and to view the property. ***JUST REDUCED! ***Excellent opportunity on busy Central Avenue! Perfect for Car Sales, Accountant, real estate office, attorney office, doctors office or retail. or just sell the real estate. 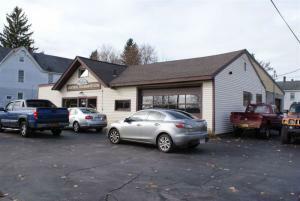 Plenty of parking is available and it's perfect for car sales, accountant, real estate office, attorney office, retail. Current home of Memory Studios Monuments. Owners willing to include business. 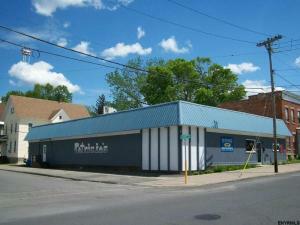 Fantastic location, Close to i90, shopping, dining, located on a bus line.Seller is a licensed NYS Real Estate agent. 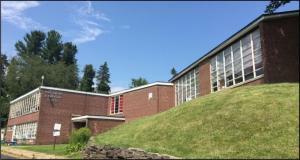 FORMER ELEMENTARY SCHOOL MOST RECENTLY OPERATED AS A DAY CARE. 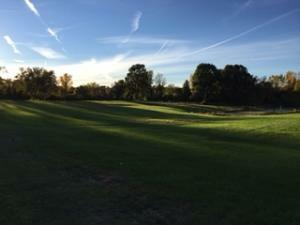 14,361 SF ON 4.27 ACRES. 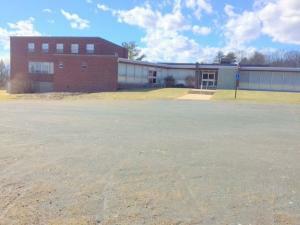 OUTDOOR PLAY AREA, LARGE INDOOR GYM, CAFETERIA, AND MULTIPLE CLASSROOMS. AMPLE PARKING. BUILT IN 1958. A-1 ZONING. PERFECT FOR DAYCARE OR CHURCH USER. PRICED TO MOVE AT ONLY $17 PSF! 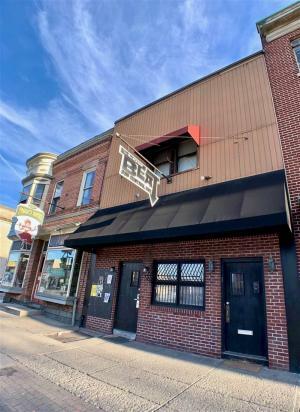 Listing Courtesy of: Arjune Realty, Inc.
Revive a long-standing neighborhood bar or bring your own vision. Huge potential in a high traffic location. Comes with all furnishings and equipment. Property is also listed for lease. Once dude ranch, then bar for 35+ years....this property is looking for new owners to bring some life back into it! 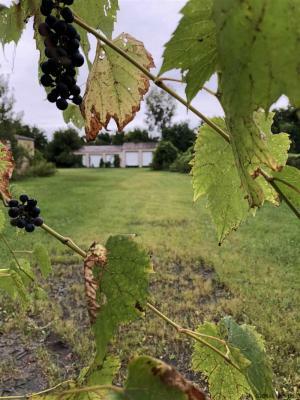 Truly a unique property that with some TLC could be quite the compound.The building sits on 4.27 acres and has a softball field, horse shoe pits (with lighting), concession stand with power, in-ground pool, deck, patio and ample parking. The interior features a large living & dining area with wood fireplace, 2 kitchens, 1st floor laundry, separate bar with mens & womens bathrooms and wood fireplace, pantry and office. Upstairs there are 3 bedrooms that were renting for $500 each per month. walk in cooler, pizza oven & some other commercial kitchen appliances that will stay. The ball field has been rented for years. Could be a really cool business! Motivated! 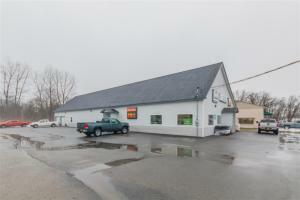 Great business location on high traffic Rte. 4, historic brick building w rail behind. Multiple use possibilities here! 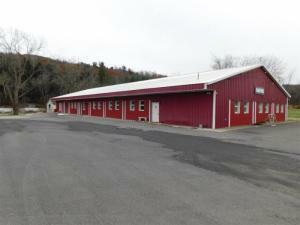 In the Heart of the Adirondacks, on Route 28/30, Huge traffic count, perfect for Retail, Commercial, Manufacturing, or Storage Includes 3 Buildings, Retail/Showroom, Workshop/Storage, and a Newer 4000 SF Metal building, fully insulated with 16 foot ceiling, clear span, 6 inch concrete floor, all on 3 acres with 395 feet of road frontage, next to snowmobile trails, and nearby lakes. Come and check it out and see what you can do with all of this! Motivated seller says bring an OFFER! Thriving Business! Be your own boss running this well established liquor store. Present owner has run the business for 49 years with a income stream that seems to improve every year. Features include a 2,400 sq. ft. building, 5 display windows, pave parking for 9 cars, office space, 900 sq. 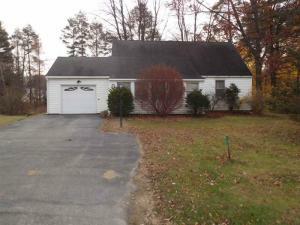 ft. of basement storage, 2-coolers, security system, roof sign and gas hot air heat all situated on a high traffic road. Don't miss out on the great opportunity to be your own boss. Multiple use possibilities here! 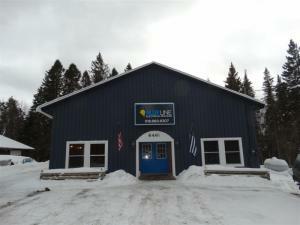 In the Heart of the Adirondacks, on Route 28/30, Huge traffic count, perfect for Retail, Commercial, Manufacturing, or Storage Includes 3 Buildings, Retail/Showroom, Workshop/Storage, and a Newer 4000 SF Metal building, fully insulated with 16 foot ceiling, clear span, 6 inch concrete floor, all on 3 acres with 395 Feet of road frontage, next to snowmobile trails, and lakes. Come and check it out and see what you can do with all of this! MOTIVTED SELLER! BRING OFFER! Professional Office Space close to the hospital! This building is presently being used as a physical therapy facility with everything a doctor would need for his or her practice. The building could also be converted to just office space with living quarters on the 2nd floor. 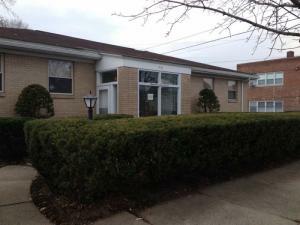 Features include 4-exam rooms, 3-offices, storage room, waiting room, reception area, handicap ramp, GHW heat, central air, 3-car garage, 10 parking spaces all sitting on a 100' x 133' lot. Owner relocating to another local building. 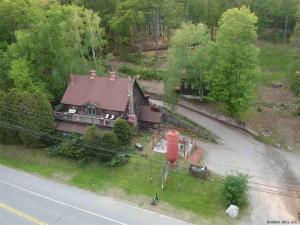 Great investment opportunity in the popular tourist community of Schroon Lake. 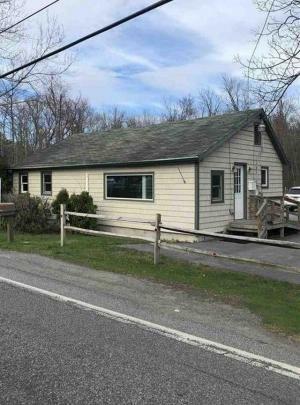 This brook front property includes two storefronts, currently rented, and a spacious three bedroom upstairs apartment, as well as a full basement with plenty of storage space.The property is located right on Main Street with quaint shops and restaurants, and walking distance to the public beach and boat launch. 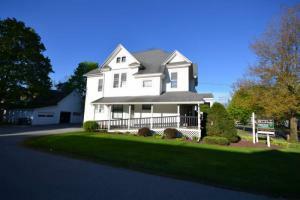 The location is ideal and is convenient to I-87, for easy travel and near many area attractions. 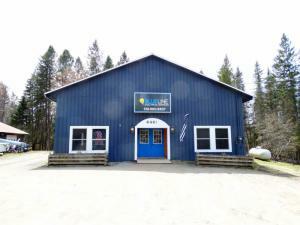 Listing Courtesy of: Northern Homes Realty, Inc.
1737SF one and 1/2 story office building sitting on .89 acres of land with 120' frontage, includes a 20x22' garage. Zoning is highway commercial intensive. 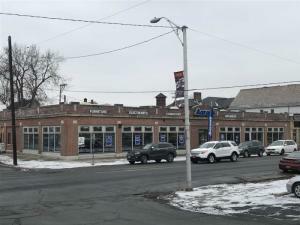 Glenwood Avenue from Quaker Road to Bay Road is considered a prime commercial area for professional office use, centrally located in the Queensbury business district. Attention! 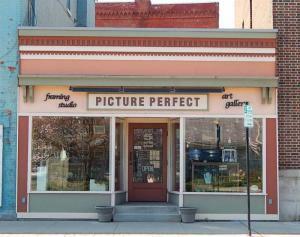 This is a great commercial/investors property. It comes with 2 parcels. 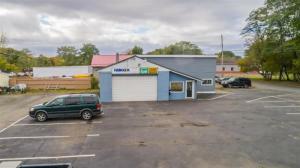 Two-family with 1st floor store frontage comes with walk in cooler, display cooler in front, display windows, office, workshop area, walk in cooler in basement. 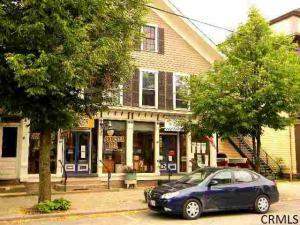 2nd floor apartment has 2BD, dining room, 3 season room, full attic, cedar closet with $1000 rent. New windows ,updated electrical , new furnace. Parcel #2 comes with 4 garages which equals 6 total for additional income with fenced in parking area. Listing Courtesy of: Bryce Real Estate, Inc.
Sale Price includes The Business (Goodwill, FF & E) and the Real Estate. Well Established Auto Repair Business (1999) with an Excellent Book of Repeat Customers. Owner will work through transition. All equipment including a 9000 lb lift come with the property. Great location because of Town Limit on auto repair shops and high density of residential properties. Listing Courtesy of: Pollay Agency, Inc.
Auto Body and Tire Shop are "grandfathered" uses, ideal for any large commercial vehicles. Includes 53'trailers, tractors, autos & vans. 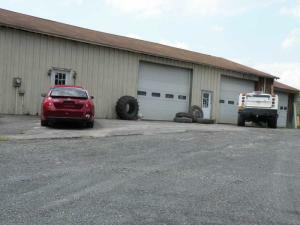 Uses: Vehicle & Equipment repair, storage warehouse, body shop, indoor/outdoor fleet pkg. For contractors, mechanics, roofers, tradesmen, taxi, limo or retail. Three overhead roll up doors, 2 offices, small basement, storage loft, compressor lines, ALL NEW ELECTRIC (200 amp, 3 PHASE), New Roof, New energy efficient lighting, gas heat and waste-oil heat. 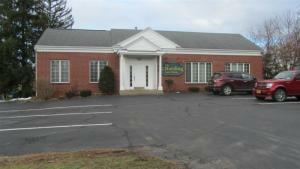 Great business located on route 30, plenty of parking, 2,800 square feet of building space. plenty of room to add on. 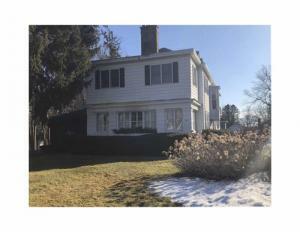 PACKAGE:118-120 McChesney, two homes, ZONED B-15,Town's Core. Commercial; off Rt. 7 with DOT traffic count, 2015, 25,618 vehicles per day. Across from Walmart & Brunswick Plazas. Lot Size of Both 1.98; Tax IDs: 91-6-9; 91-6-10; Taxes both parcel. 118 est.1224 Sq. ft.;120 est. 528 sq. ft. 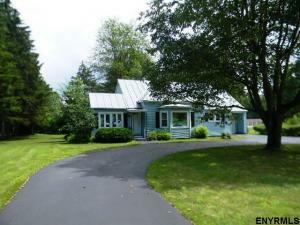 This is a true money making property on the edge of the Village of Schuylerville! 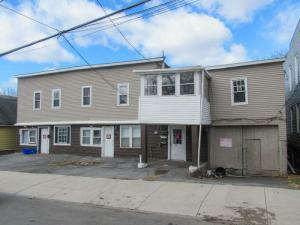 Situated on 1.8 acres, 5 Gates Ave offers (2) apartments, currently rented month-to-month w/ long term tenants; (4) commercial buildings, two are rented, one is owner occupied; lastly, (5) garages, four are rented, one is owner occupied; APPROX NET: $33K/YEAR! Property is perfect for a growing business: use the big commercial buildings to build & benefit your business and make money renting the other garages & apartments! 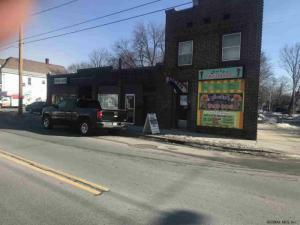 Prime commercial location on sought after Route 50!! .82 acres zoned mixed use centers. 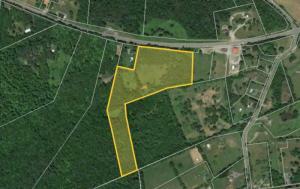 Consists of two separate lots (.35 acres and .47 acres). 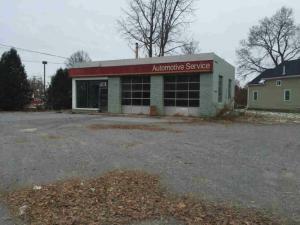 Property was most recently used as a car dealer. 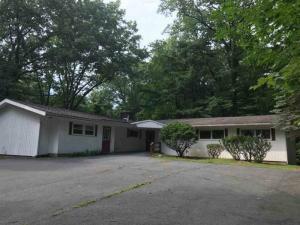 2064 square foot building with 3 garage bays, car lift, office spaces, and half bath. 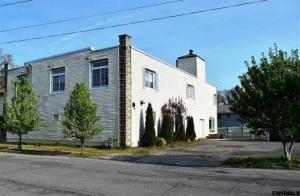 Property is surrounded by new development such as condos, apartments, and commercial renovations!! Zoning permits a variety of commercial and residential opportunities. See documents for zoning map and permitted uses. Tremendous investment opportunity! 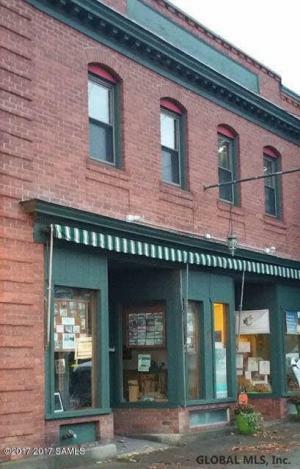 Currently occupied with Deli on street level with 2 residential apartments on the second floor. Tenant's are 4 years into a 15 Year wraparound lease. LL receives $1900/month NNN with annual bumps in rent. Motivated seller. Home to the Central Ave BID for 20 years. Office/retail with garage in the rear accessed via Bradford St. 800 SF mezzanine not included in SF. 5 parking spaces at rear. Public parking lot is adjacent. What a remarkable opportunity! 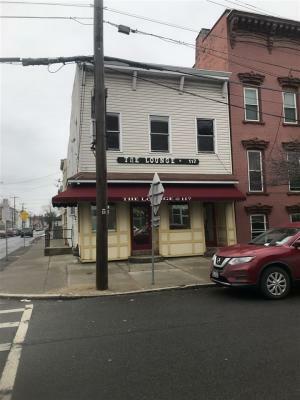 Turnkey well established Willows Bistro Cafe including fantastic bright newly remodeled upstairs large apartment with bonus finished loft and private entrance. All business inventory and equipment included. Great location and exposure for a business opportunity. 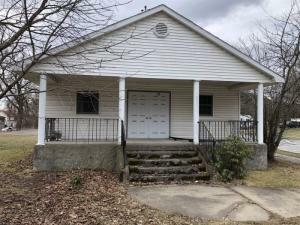 Was previously used as a garage but has many possibilities. 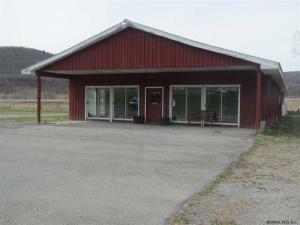 Building is 60 x 46 with a separate office, full bath and waiting area. Upstairs loft is 60 x 12 and can be used for storage or turn into an apartment with Planning Board approval. Public water and 19 year old septic system. You can also tie into Village sewer system for public sewer. 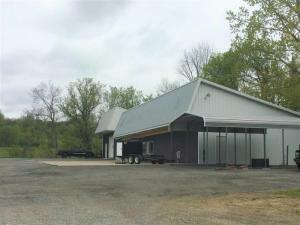 Building located on 2.5 acres, plenty of room for parking, 2 overhead doors and 2x6 construction. 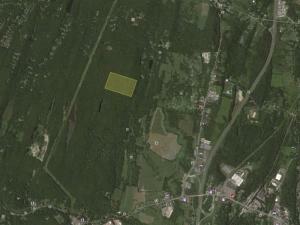 4.76 acre lot available in the blue Lupine Commerce Park. Convenient to Exit 16 of the Northway and Route 50. 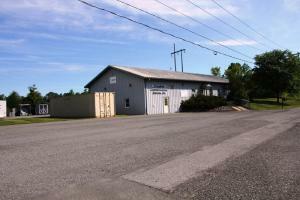 Zoned for business and light industrial - allows warehouse/distribution, fabrication, self storage, etc. Prime development opportunity. 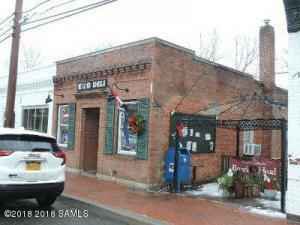 Endless opportunities, this could be an Air BNB, Restaurant, Bar & Brewery, etc..., This old Historic Civil War era building has a ton of character w/a Bar that seats approx. 16, Dining areas seat approx. 160 & patio area seats approx. 50 people. NEW covered patio addition designed w/custom made tongue & groove & cedar shakes. ENJOY a cozy rustic feel w/2 wood burning fireplaces & pellet stove. Parcel includes Fulton County SBL 180.2-1-25 & Saratoga County SBL 210.-1-48. Serious Inquires Only. Sold As Is. 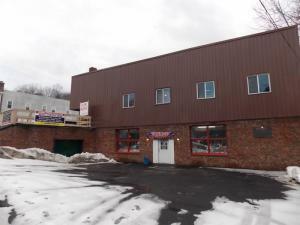 Large warehouse building with retail/office in front, on busy thoroughfare between I-87 and 787, great access to building with public road in front and back, 3 phase 400 amp electrical service, MU-1 zoning allows for a variety of commercial or residential uses. 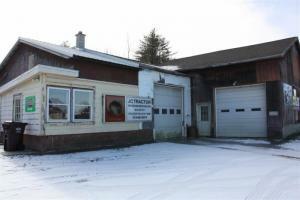 Property includes a very well built 23 yr old steel building w/ 5,000 sf heated space plus a 665 sf garage type/canopy area. Could be enclosed with garage doors. 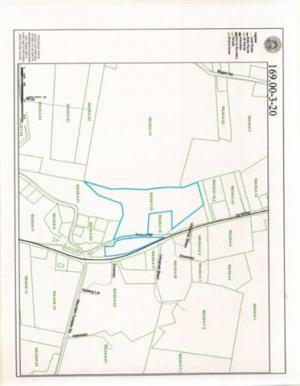 Property includes lot at 20 Old State Rd, Tax map #168.-1-376.3. Great street visibility & tons of road frontage. 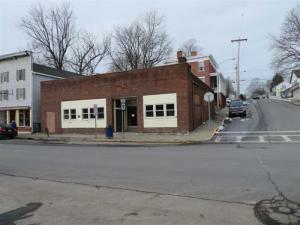 Great site for Retail,Office, or Personal Service Business, or complete redevelopment. 2 Curb cuts. One along Old State in the rear. Room for additional buildings. 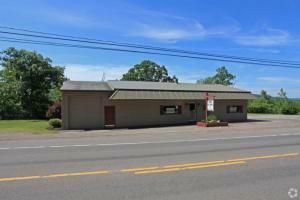 Over 700 feet of frontage along 9W.Legal address 2532 Rte 9w. 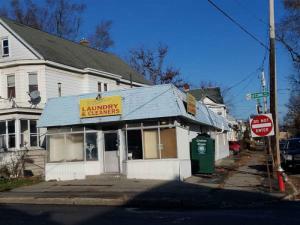 Laundromat , two-family/office and parking. Rare off street parking and opportunity for redevelopment in the heart of Albany. Mixed use and commercial space available. 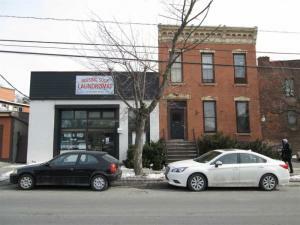 This price is for the sale of just the business and commercial space at 14 Delaware ave. There are other properties available. Call listing agent to discuss further. Thank you. 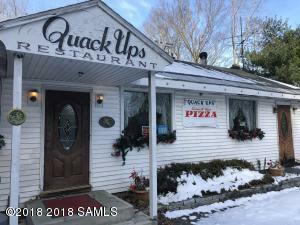 Great Investor opportunity at this location. 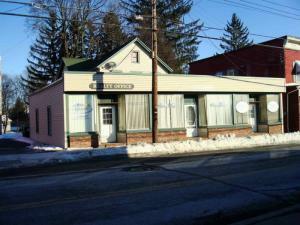 Generate income with these options Retail/Office available for lease on first floor in busy Guilderland Ave corridor! A large studio is located on the 1st fl with access at side driveway, 4 bedroom apartment on second floor in front, two bedroom apartment on second floor at back. Multiple off street parking spots available. 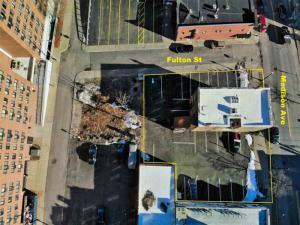 This building presents multiple possibilities in an up and coming area of the Bellevue neighborhood. Call now for more information. 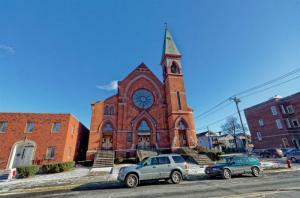 Excellent building in desirable Bellevue Area of Schenectady. 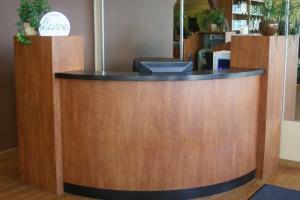 This is formally a free standing bank branch with drive up teller/ATM & 1 drive thru tube lane. 1st Story is configured with cubicles, office space and a large teller area, safe and open ceilings. 2nd story is office, break rm & restrooms. Located in dense residential area with restaurants and retail operations. Ideal for Professional office, medical, convenience, restaurant, discount store or other retail use. Prime location. Current restaurant/coffee shop. Very clean. Recently remodeled Could also be an office space. 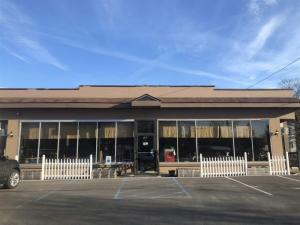 Great opportunity to continue as a restaurant or remodel into an office or retail space. Very conveniently located. Seller say to bring offers. 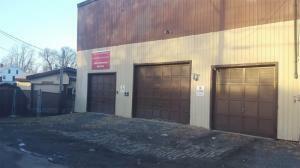 Two bay commercial garage with office space. 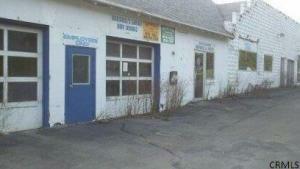 Plenty of parking for a automotive repair business, small store, car wash, etc. 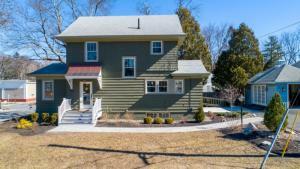 Two story, 3 bedroom house on the property that was remodeled just a few years ago. House was previously rented for $1300/mo and the garage was bringing in $1000/mo. 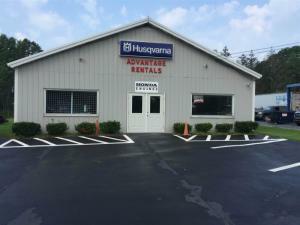 Open a business of your own or lease out both properties! 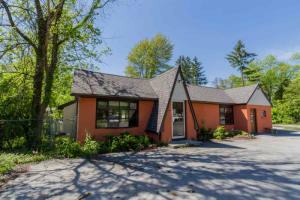 Great investment in the popular tourist town of Schroon Lake. 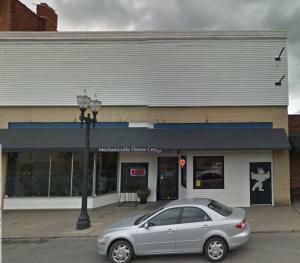 Two commercial storefronts downstairs and two fully rented apartments upstairs with some lake views. 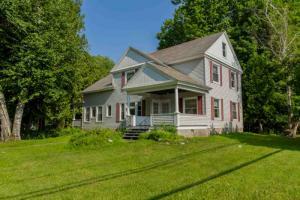 Many options with this income producing property right on Main St. Property has brook frontage in the back. Fabulous professional location. 1.5 acre lot, develop to your needs. Would make an ideal doctor's, dentist's, attorney's, accountant's office. Environmental One is adjacent on one side and single family on the other. 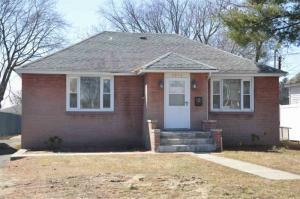 BRICK SINGLE FAMILY RANCH WITH IN-LAW APARTMENT IN BASEMENT. SUITABLE FOR OFFICE SPACE- GOOD VISIBILITY ON BUSY COMMERCIAL MAIN ROAD. LOW COLONIE TAXES. Huge commercial building built well in the early 2000s. Great for storage units or auto repair shop or sales on small equipment, entertaining building, several options. Building was a store for 5 years. Could be cut in half for other uses. Rural area with several small hamlets around. Owner willing to lease as well. Now included in the property is rental or ownership home and garage. Now rented out to great tenants. Great location for a new business! And great rental included. Opportunity for developer or owner/user, located in business corridor of Ushers Road. Zoning uses available upon request. Renovations needed on first floor, which can be used as residential and updating needed on second floor, which can be used as office and much potential on this 2.49 acre site if you were to entirely re-develop. Was previously used as daycare. Call now for your showing! 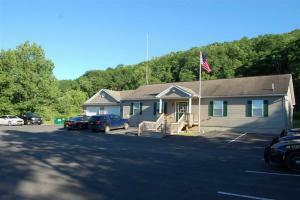 Large Solid Poured Concrete Building with smaller building previously used as office. Possible uses are Manufacturing, Storage Facility, Warehouse and many more. Listing agent related to owner. OWNER FINANCING AVAILABLE! 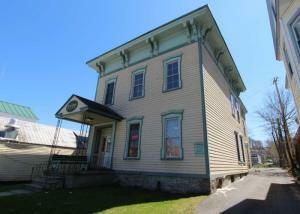 +/- 13,000 sf over three stories inline on Main Street in Gloversville. Former leather factory and retail. Building currently vacant. Owner would sell or lease. 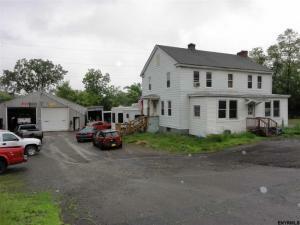 Several exciting ways to go with this rock-solid investment opportunity in the heart of Mechanicville. This 9,000-sq-ft steel & concrete bldg currently sports a top-notch gym, fitness & martial arts studio. Deal includes all equipment & clients. Or convert the 2-story building with its expansive, flexible floorplan. Stewart's is on the corner; Golden Krust, McDonald's & other thriving businesses make this a hot spot in the middle of a thriving business district. Consumer traffic practically drives itself. The Central House was originally a hotel, built in the early 1900's. It retains the character of that era, high ceilings antique woodwork, floors and beautiful marble patio and stairs. 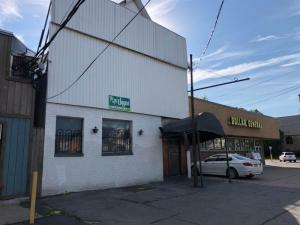 More recently it held a restaurant and has a modern commercial kitchen.The 2 other floors are currently being used for storage and offer much expansion potential.Great location on busy Rt. 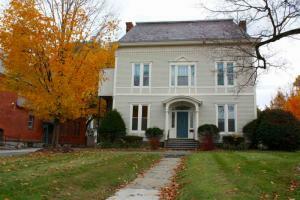 22 with street and private parking.A Salem Landmark.Priced to sell! 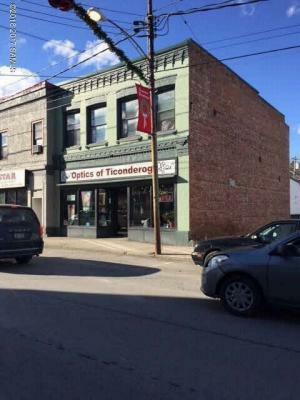 Excellent location on Route 4 in the heart of the downtown revitalization. 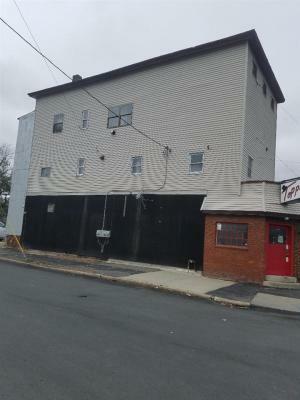 This building offers two stories with a large storefront (possibly two) on the main floor and two rented apartments on the second. Income from the apartments can cover the mortgage. Utilities are all separate. Windows and facade were updated in the last ten years along with two of the boilers. Invest and hold, relocate your business or renovate for the next generations. "Forever Young's" is a turn key operation that's in great condition. Featuring 3 separate dining rms, stainless steel kit. w / ansul system and tiled bath rms. 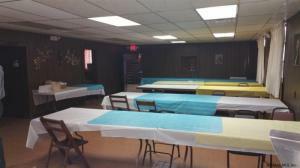 The 2nd floor offers a large banquet rm ideal for weddings, showers or any sort of parties. 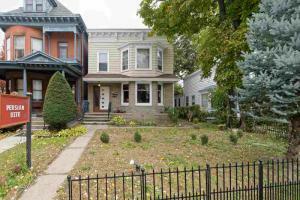 It features beautiful hardwood flooring, large bar w/ dumb waiter and 1/2 bath. 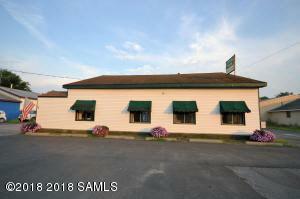 The lower level has a beautiful old tap rm with a really neat bar in good condition and walk in cooler. There's also separate baths and ingress and egress from the basement. INCOME Producing B&B with a profitable track record. 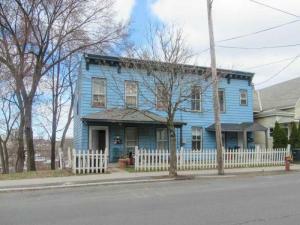 Located just 1 block form the new casino and walking distance to all that down town Schenectady has to offer. Right next to the historic district. Close to Proctors and GE. Already successful, but can be more so, with minor reconfiguration. Live in one unit and AirBNB the other or AIRBnB both. The choice is yours. Either way there is minimal work for maximum ROI. Business name and all upstairs furnishings are included. Zoned C-3 waterfront mixed use. The Central House was originally a hotel, built in the early 1900's. It retains the character of that era. High ceilings, antique woodwork and floors and beautiful marble patio and stairs. 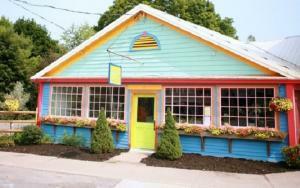 More recently it held a restaurant and has a modern commercial kitchen. The 2 other floors are currently being used for storage and offer much expansion potential. Great location on busy Rt. 22 with street and private parking. A Salem Landmark. Priced to sell! Tremendous Potential! 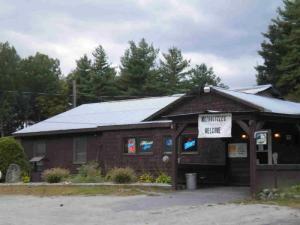 The former Spiaks restaurant has been a notable name and the location is ideal for your imagination. Bar is intact. Great access to 787 and parking. This building has a large apartment upstairs. Partial owner financing available. Deed has not been recorded, seller will provide documents at closing. H380566 This property currently houses 3 Dr's offices. 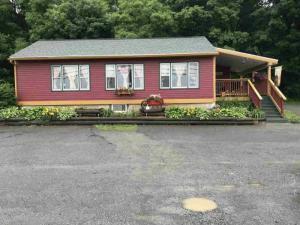 It is located in the T/o Johnstown on 2.43 acres which is adjacent to the Rail Trail. 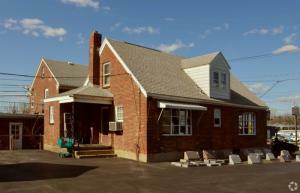 The building has had many updates, including siding, roof, heating system and hot water heater. The upper level has a large reception area, 3 exam rooms, 1.5 baths and 3 offices, plus a kitchen. The lower level as 2 reception area's, 5 exam rooms, a bathroom and 4 offices. There is parking for 30+ vehicles. 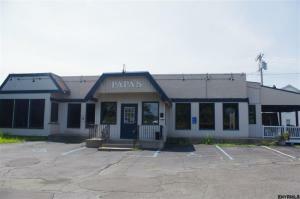 This is a very well maintained building which could continued to be utilized as Dr. offices, lawyer, builder, insurance, the list goes on and on. One tenant would like to remain on. 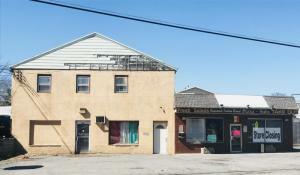 Excellent opportunity for Owner/Occupant or Investor. Tenants pay own utilities. Safe, convenient, neighborhood. Next to Spectrum Theater & New World Bistro. 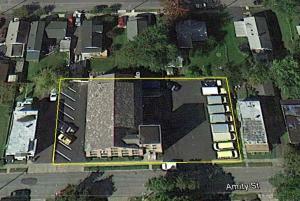 This property can be purchased as part of a 5 building portfolio all within 100 yards. 48 hr. notice. Proof of funds required. School #9 is up for sale. This is a very solid 2 story brick building. It also has two stair cases and a loading dock door. 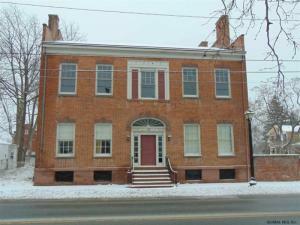 The 1st and second story have 4 large rooms each with easy wide hallways and rooms that were formally bathrooms. It's a great historic building with amazing window space and lighting. The potential for the right use is excellent. Contact listing agent for more details. 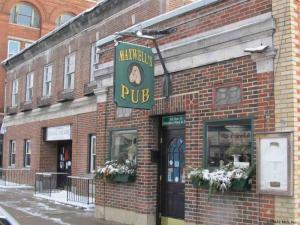 Business is Booming at Maxwell's Pub! 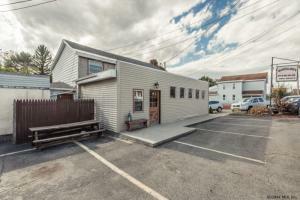 This charming turn-key, fully equipped bar/restaurant has high visibility right in the Heart of Hudson Falls and next door to the popular The Strand Theater. With it's known Friendly atmosphere and excellent food, it is the place to be and be seen. 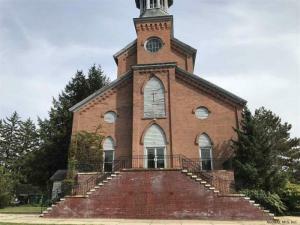 Own a part of Hudson Fall's Re-vitalization. Don't let opportunity pass you by! 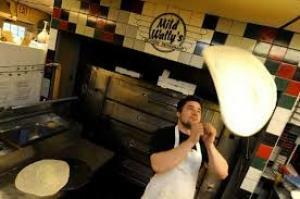 Has been a profitable business as an Italian Restaurant and Pizza in/out service. Owner will help new buyer get started teaching the tools of the trade. this once thriving business was left by a tenant in disarray, however needs good cleaning...all equipment and supplies to run a restaurant are included and in tact. Being sold as is condition. Owner lives out of the country and wants it SOLD asap!! 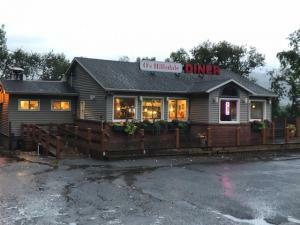 Some Paint, elbow grease, new carpet, shined floors and your Diner is back in business. New Septic now supplies for Breakfast Lunch and Dinner...new grill too! 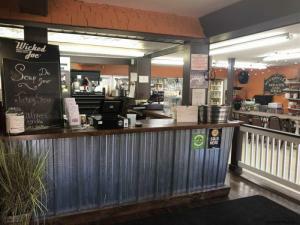 On Main Hwy and a favorite spot to gather with friends for a good meal and coffee. Exceptional building and location. 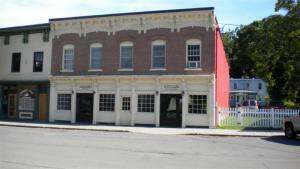 Ideal professional/commercial space in beautifully restored historic building.10 car paved parking area. Located next to Argyle Municipal bldg. and across from U.S. Post Office. 7,000 vehicles pass daily on St. Rte. 40. Minutes to Northway 87, Saratoga and Glens Falls. 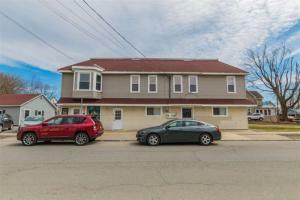 5 unit property with great income potential! 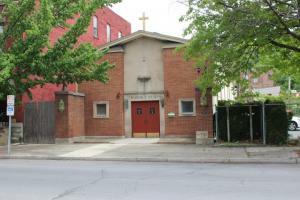 Located in the up and coming Broadway area of Rensselaer. Close to highways, shopping and more. Public water and sewer, separate utilities. Units range from studio-2 bedroom apartments. Possible owner financing! Don't miss your chance! 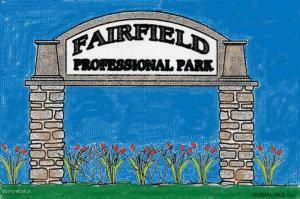 13 Lots for sale in Fairfield Professional Office Park. Lots 1,2,3 are each for sale for $125,000. lots 7,8,9,10 and 13 are each for sale for $150,000. lot 11 is $165,000. lot 12 is $195,000. lots 14 & 15 are each for sale for $175,000. lot 16 is for sale for $225,000. owner could hold a mortgage, built to suit, or allow another builder to build out the office as long as the building complimented the existing office buildings that are in place. Your Burger is Ready! Be your own boss when you take over this well established diner. Owner says it is time to pass over the spatula to a new owner. 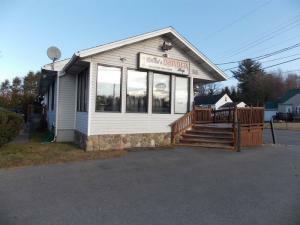 The diner features a large sit at counter, large kitchen with all the appliances you need, over 40 parking spaces, seating for 45 people, 2-bathrooms, basement, storage, almost 1/2 acre of land all sitting on a high traffic count road. Now available! 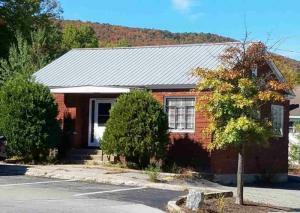 Great location and building to start your own business! Plenty of parking spaces, and your own living area in the building! 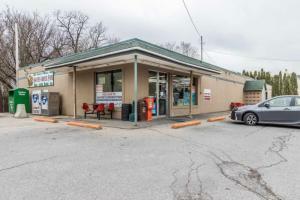 Great investment opportunity on this highly visible gas station with 1600sq. ft. retail store on RT.67 North of Amsterdam. Plenty of parking and easy access. This business comes fully equipped. A turn key operation. Business for sale only. Flood Insurance Not required. 3 story building. 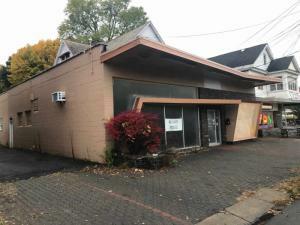 First floor-2 vacant commercial spots in need of renovation, formerly a bar restaurant. "New Furnace" 2nd floor 4 apartments with many recent improvements. Rent for each $700. 3rd floor vacant but has potential. Rent the apartments while you finish the first floor. 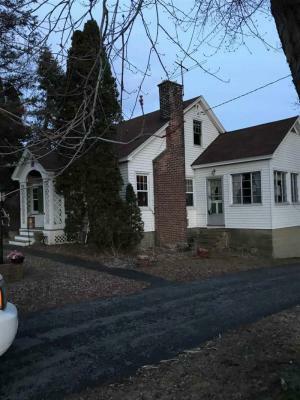 4 bedroom home with attached Country Store in need of some TLC would make a great commercial property or tear down the store and just use it as a home again. Property is 2.7 acres total. Roof is bad on Store addition but foundation looks great. Blacktop parking lot is part of property and is not a town road. Would make a great restaurant, body shop, car lot or Country Store. Fuel tanks are gone, property is Clean and good to go. Possibilities are endless. 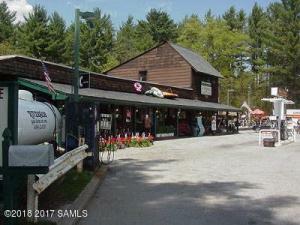 Country general store across the street from the Great Sacandaga Lake & Brooks Bay Beach Club. Busy corner & the only commercial location in the Town of Day! 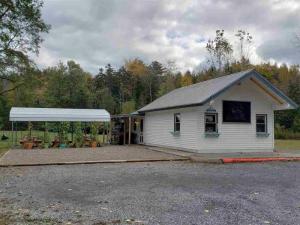 Property has 2730 SF & features walk-up window, interior seating, kitchen,deli counter, wood fired pizza oven, BBQ pit, storage, built-in coolers & lots of space for merchandise & groceries. 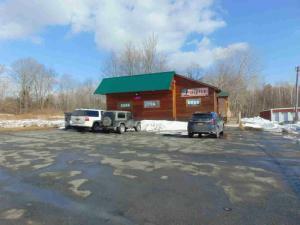 0.66 acres provides room for parking & outdoor seating.Turn key with all FF&E included. Be in for the summer season! 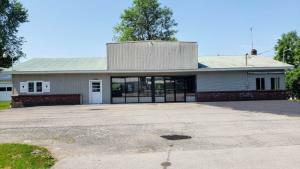 1.04 acres of land with a 1,000 SF office building located directly behind the Dollar General store with possible access to Main Street based upon the approved site plan for Dollar General. Ideal property for a business which needs easy access to the Northway as well as a outside storage area. Or can be a great piece for accumulation of other parcels that fron on Main Street. High Traffic location, plenty of parking,ideal for any commercial business.The interior set up includes: a waiting room, reception office,2 exam rooms,storage room, kitchenette and a large room with a separate outside entrance.Plus there's a two car garage and a spacious backyard.Perfect for a doctor, attorney,therapist,accountant, small business of any kind. Listing Courtesy of: Beach&Bartolo Realtors, Inc. Located in a high traffic area with ample parking. 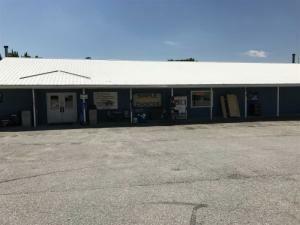 Building currently consists of a garage/workshop with two bay doors, retail area with office and storage space, and a storage rental facility with 12 units. Multiple possibilities. Owner is open to finance. 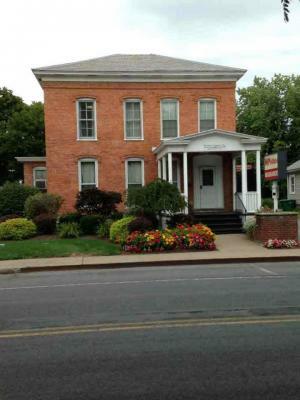 Formally the First Niagara Bank. 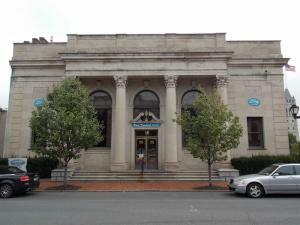 This building is in excellent shape and set up as a bank still. Teller stations, offices & safe w/ Security Deposit boxes & Drive thru still in place. 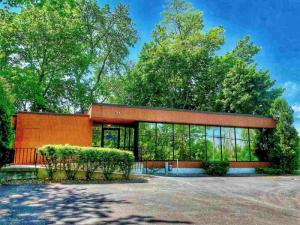 The location is ideal spot for another bank or professional office. Lawyer, CPA, Dentist, Realtor, Doctor, school, florist, call center Engineering Firm or any type of retail, bar or restaurant. There's a Dunkin across the street and plenty of parking. Huge basement with a back up generator, board room and kitchen. 30+ years of operation as a bar with bonus apartment Income. Turn key with many major system updates. Everything is included to run a bar/Restaurant from day 1. Additional parking lot in rear, also included. HIGH TRAFFIC VILLAGE LOCATION! 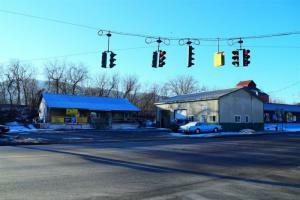 Ideal location to establish your business on this high traffic main corridor between Saratoga and Glens Falls. 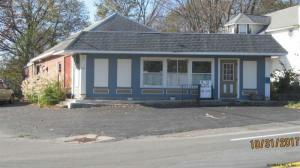 Completely renovated office/retail space. Including large open room and separate office. 2 Baths, ample parking. Long Established Business Location on State Route 4, Town of Fort Edward, Washington County. High Traffic Area with Frontage on State Route 4. Desirablefor Office Space/Retail Space/. Site features 2300 Sq. Ft. Building with plenty of Parking and access from two sides. Municipal Water and Sewer . Neighborhood consist of: Stewarts Shop, Doughnut Shop, McDonalds, Pizza Hut, Price Chopper, Credit Union, Washington County Municipal Center, Fort Eward Bowl..
LA to accompany to disable alarm system. 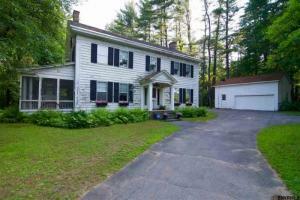 Located 14 minutes from downtown Albany, is this meticulously maintained 1404 sq. ft. office building. 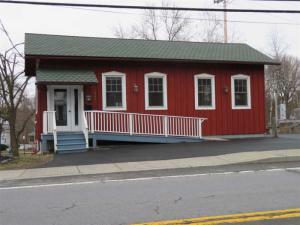 Great for office or retail and easy access to I-87. The open floor plan boasts a conference room, 2 spacious offices, waiting & reception areas, kitchen and full bath. 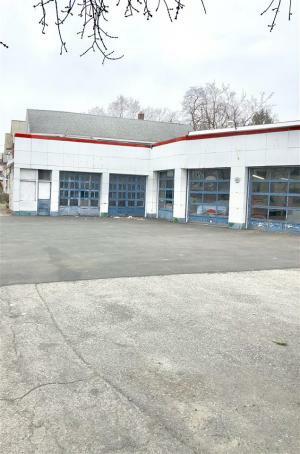 Two car garage w/workshop area and plenty of off street parking. Call today to schedule your private showing! 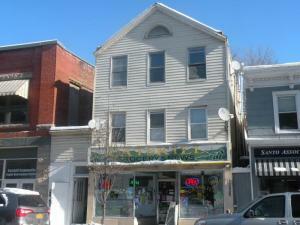 Commercial/Mixed use store front with very nice 2 bedroom apartment on second floor in busy business area of Albany. Store lease is almost up. 1st floor rent is $750 per month, 2nd floor is $725 per month. 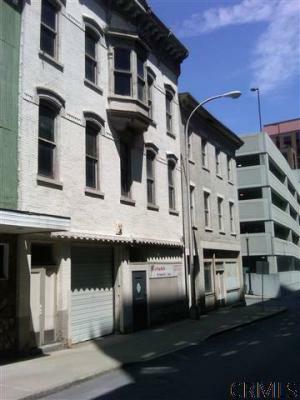 Great location for downtown Albany business. DON'T PASS UP THIS OPPORTUNITY!!! 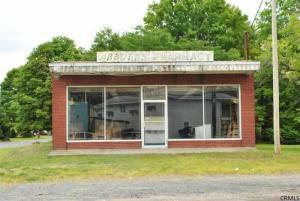 FORMERLY ABBOTTS PHARMACY/ COMM. BLDG. FOR SALE WITH TWO ADDITIONAL VACANT LOTS. 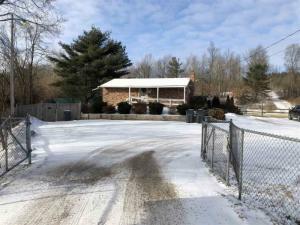 CURRENTLY ZONED RESIDENTIAL--- WITH PROPER VARIANCE COULD BE COMMERCIAL! PER OWNERS REQUEST, PREFERS TO SELL AS PACKAGE DEAL! 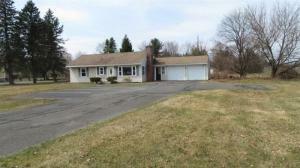 10 Gansevoort Rd./LOT, 9148Sq Ft.. 12 Gansevoort Rd/LOT, 9148Sq Ft.Lot. Parcels located between Charles St. & Reynolds St. SELLING AS IS. Great exposure at Market 32/Price Chopper traffic signal! 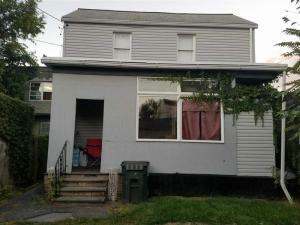 Current 3 bedroom rental bringing in $1,600/month, tenant pays utilities and water. Easy to convert to commercial entity, large 120x125 lot. A great looking building in middle of quaint colonial town. Excellent investment with 3 fully rented units. 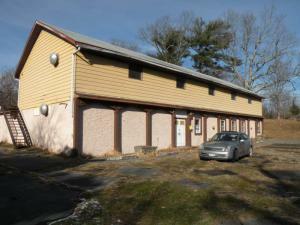 First floor with 2 commercial units; 2nd floor has a spacious 3 bedroom apartment. Individual heating and electric. Tenants pay own utilities. 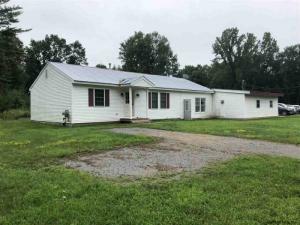 Includes town water and new town sewer (12/2017) as well as newer metal roof and new windows. . 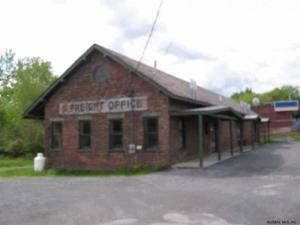 Historic brick building on high traffic Rte 4, rail access behind bldg, loading dock, two covered porches. Drastic price reduction! Present all offers! 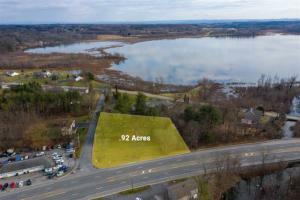 Just minutes from I-87, Ballston Spa and Malta, this is a great development opportunity! 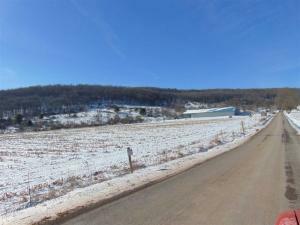 The property consists of 2 tax parcels that total 6.6 acres with the value in the land. Property being "sold as is". Contact the agent for additional information. FOR SALE: 1100 Sq ft commercial building the site of a very successful liquor store soon to relocate. Rooted on Route 29 the main east-west thoroughfare in the heart of downtown Schuylerville. 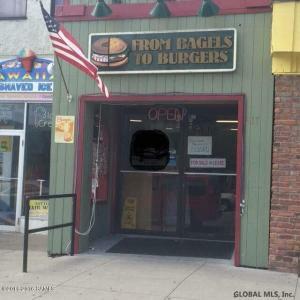 This store has the perfect location w/convenience to both regular patrons and pass-thru traffic. Avg 10-12,000 vehicles travel thru here each day. 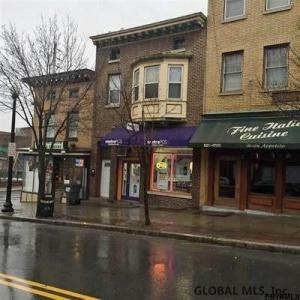 Walking distance to the local marina, Fort Hardy Park,The Hudson River and 3 great restaurants, Some of the parking is shared with the neighboring Italian restaurant. Motivated seller. 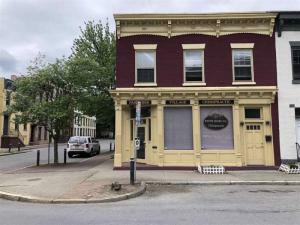 Great business or investment opportunity in downtown Albany, minutes away to busline, colleges like St Rose, Washington Park, and Albany Med. Corner Lot, Groceries/Deli just cross street. 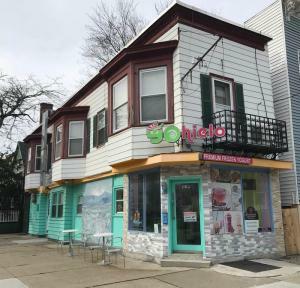 Newly renovated 1st floor, currently a yogurt shop, can be converted to other business. Two/three bedroom apartment on 2nd floor is vacant for showing can be rented for additional income. 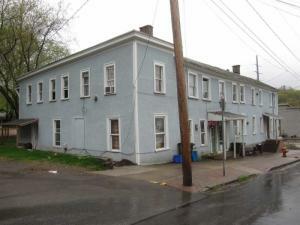 1st floor business rental $1500 potential 2nd floor apartment rental $1000 potential Separate Utilities. Turnkey Family Run Deli and Grocery Store! 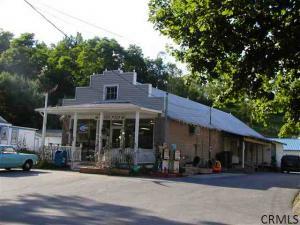 Hadley General Store is an operating Deli and Grocery store located on the busy corner of Rockwell St and Stony Creek Rd in Hadley. Included is all restaurant and store equipment and fixtures except the coffee & espresso machines which are owned by the vendor. 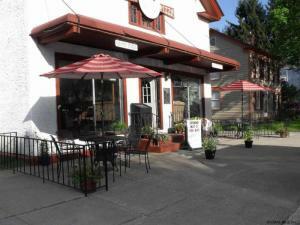 Deli is take out or patrons can eat in at the breakfast counter or the covered front stamped concrete patio. 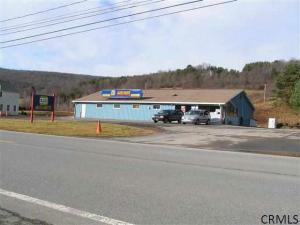 Nice business opportunity with some owner financing possible. Call us for details. 3 buildings in total, spread over 2 tax parcels. 1 Pizza shop - equipment can be purchased for an additional $25,000. 2 bedroom apartment - rented for $600/mo. 2 bedroom apartment - vacant. 1 bedroom apartment - rented $500/mo. 1 bedroom apartment - rented $500/mo. 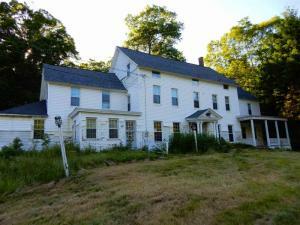 3 bedroom apartment - vacant. A great seasonal business! 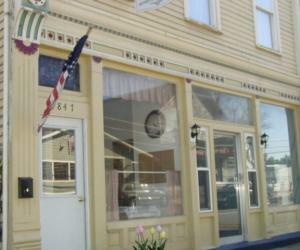 Auntie Kim's is an established ice cream business with a food menu. Comes fully stocked and ready for the new owner. Indoor and outside seating with plenty of parking. 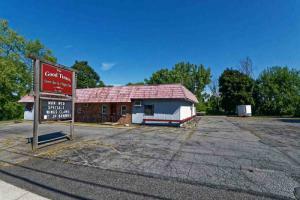 Located on a busy road and across from the drive-in theater. Total of two lots. A shed for storage. Brick three unit mixed use apartment building. Excellent investment opportunity for end user or investor. Currently consisting of a chiropractic office, a split level 2 BDR apartment and a studio apartment. HOA provides grounds maintenance, snow and trash removal, plus off-street parking for residents. Perfect for attorney, tax professional, chiropractor, insurance agent, etc. Let income from apartments cover your office expense or buy investment and earn 50% ROI. 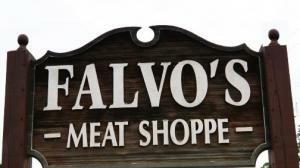 Conveniently located in Historic Pastures. 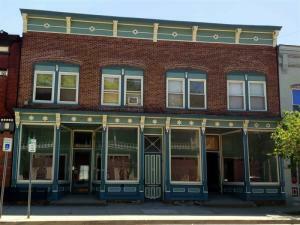 Great owner occupied building or investment property. 2200 sq ft of office space divided into two, and attached 1000 sq ft insulated garage with 14 ft ceiling height. Ample parking. Route 7 visible. Village water and sewer available. 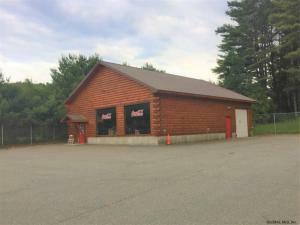 This is a great opportunity to own a fast food stand & ice cream stand w/ catering opportuities.There is plenty of parking in a high traffic area near the Great Sacandaga Lake & the Broadalbin boat launch & campgrounds. 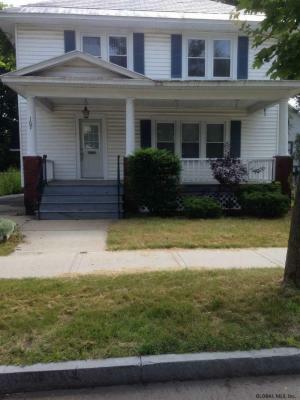 Newly renovated K & appliances w/ updated fire safety system plus 1/2 bath. 2 parcels are included in the sale. 91.3-2-2 and 91.3-1-24.12. All equipment & machinery are included in the sale. There is a covered area w/ pea stone patio for additional outdoor seating. Shed is also included. Huge business opportunity! 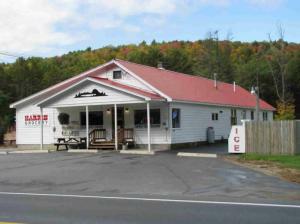 Charming drive-thru coffee shop located minutes to Vermont. Established brand. Turn-key business; ready to sell coffee, sandwiches, breakfast, smoothies, donuts and wholesale coffee by the pound. Motivated seller. There are many possibilities with this wide open space, just bring your imagination. Currently used as a gorgeous showroom, but you could make it into whatever your needs are. 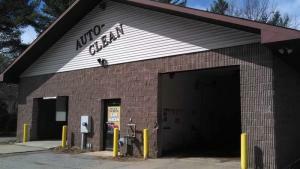 Outstanding opportunity to own the only laundromat and car wash in town. Main street highly visible location. Excellent traffic count. High traffic, high visibility for the laundromat and car wash. Only one in town. 2 bay car wash! Functioning laundromat with all amenities. Town sewer and water! 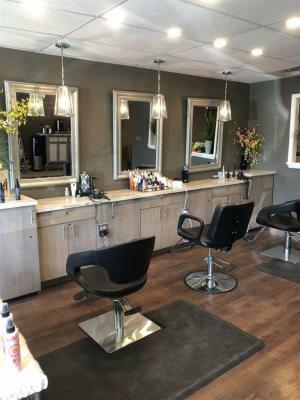 Long established hair salon, endless possibilities w/ this young mixed-use property. Perfect for insurance, chiropractor, coffee shop, attorney. Let the tenant of the 3-bedroom, 1.5 bath adjacent apartment pay the mortgage. The apartment has a large basement with very high ceilings - could be easily finished. The apartment has had long term tenants renting at $1400 per mo. 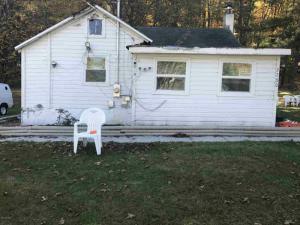 Separate electric, owner pays propane heat. Equipment in the salon is included. 6 booths, 2 shampoo stations. parking for 12 cars. 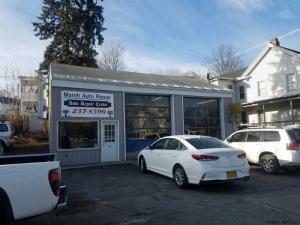 Automotive repair shop that has been successfully operated for many years in a good location with plenty of traffic right on NY Rt. 22. 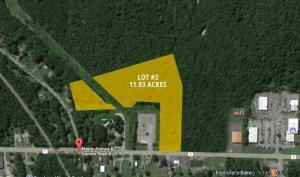 The 1 acre lot is almost square, and is level, with plenty of space for many vehicles. The building has a large working shop area, an office, and bath. 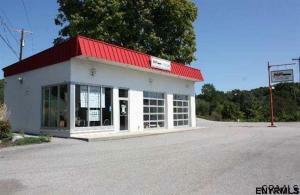 It has been well maintained and is in a good location for this type of business. So many options with this flexible space! It was previously a restaurant but could easily be transformed into anything you choose. 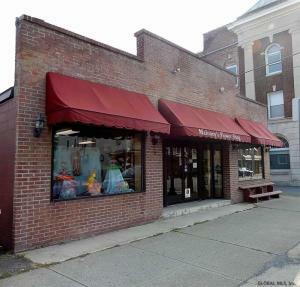 The above grade store front has 913 sq ft, there is an additional 913 sq ft in the walk out basement. It is finished with office , storage and prep spaces. 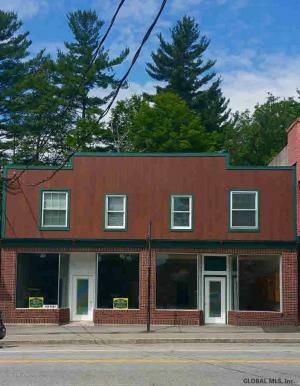 A 77sq ft awning in front of the building ads seasonal space and character. Parking for up to 5 cars behind the building. Great opportunity to own your own business. Both sides separated (one side already rented to Garnet Signs and brings a rent of $600/month). 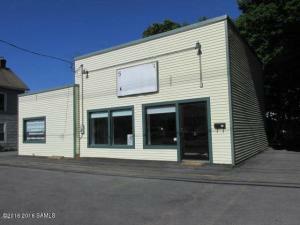 You can start your own business on the other side of the building which is currently vacant. Large amount of space and good storage. Think about a retail shop or better yet a bakery...yum!! 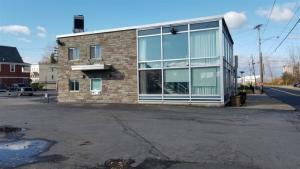 Nice office building in Lake Luzerne, 4 separate offices, large paved parking lot. Corner lot. Handicap ramp. Long term lease or lease/purchase may also be possible. Current tenants leaving 6/30/19. Sale includes sbl 298.19-1-45 (parking lot). Taxes reflect both parcels. 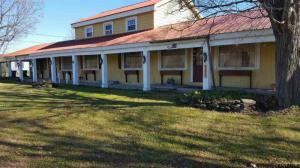 This 12 unit motel has several long term rentals and also individual units for guests. Property also includes a 2 BR, 1 Bath house with a garage. 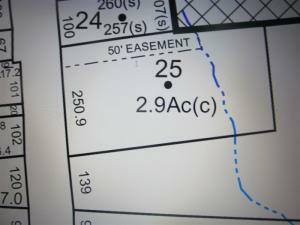 Total lot size is 2.28 acres. 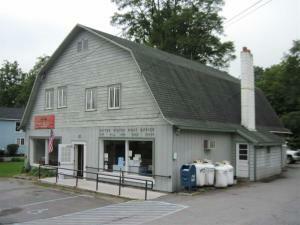 Ideal commercial location on main road, Rt. 22, beside the local police station and community park. Good visibility. 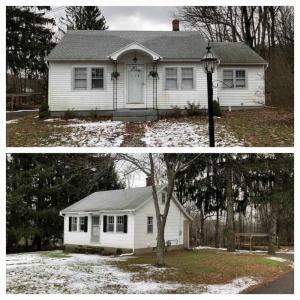 Property needs work but has great potential. Contact agent for income / expense history. 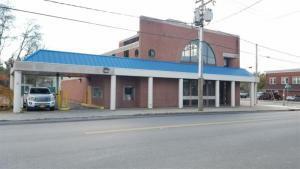 Wonderful commercial opportunity in a high traffic area, conveniently located near Walmart Super Center in Gloversville. Huge price reduction!! Motivated seller. Sold as is. 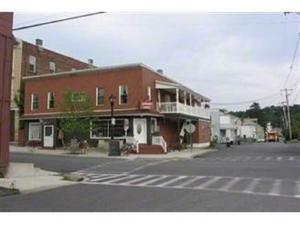 Property needs work but can become a wonderful investment - retail store front, two aprtments and two garages. 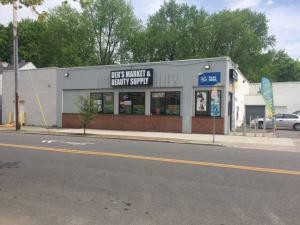 Can be sold as a package together with 294 Central Ave. 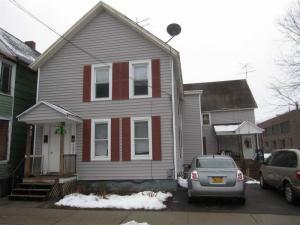 Please check listing MLS201911837. An incredible opportunity to own a truly unique piece of Waterford history. 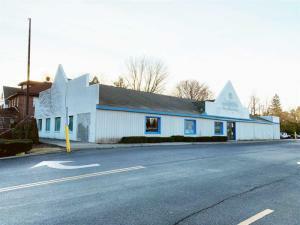 This brink building in very good shape is currently used as a fraternal lodge and would have to be rezoned prior to any commercial use, but the municipality and sellers are willing to entertain proposals. Open expansive rooms inside with historical charm, multiple bathrooms, commercial kitchen, handicap access, and plenty of room in the rear to add off street parking with a curb cut. Right near the river in charming Waterford. 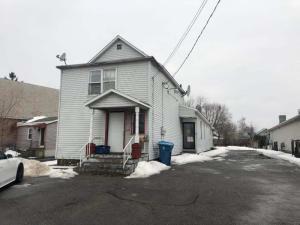 Investment Property-this listing includes a commercial mixed use building with a Post Office on 1st floor and apartment on second floor & 1 car garage, a second building that is a single family home (2 Bedroom & 1 full & half bath), and a lot across the street for Post Office Parking. 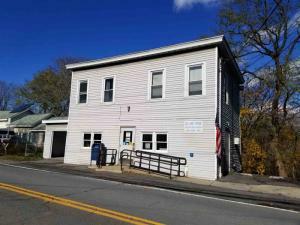 The Post Office is known as the South Bethlehem PO & has a current lease that expires 9/30/2020 and there is an option for another 5 year period. The apartment and SFH are leased on a month to month basis. 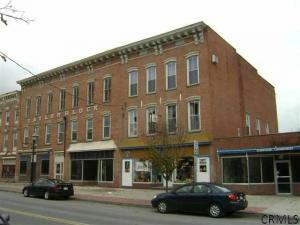 Multi Unit Office Building with 2nd Floor Apartment on the Main Street. Currently there is one vacant office. The vacant office was not included in the income of $15,240 and that tenant paid $550 per month. 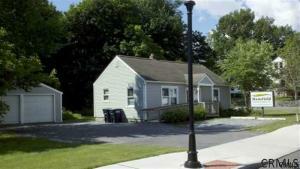 Each unit has separate entrances, natural gas heat 2008, central air 2008, public water/sewer, 200 amp electric service. There is parking in the rear for a few cars plus Main St. parking. 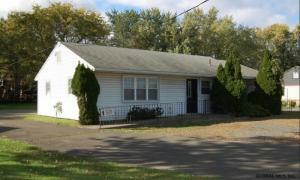 3 half baths, 1 full bath, carpeting, laminate flooring, some newer windows and updates. Great Opportunity. RARE opportunity and a great investment! 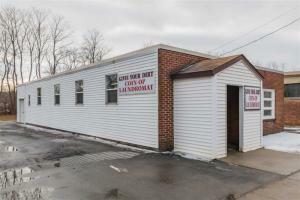 Long standing money making laundromat located in the center of a great rental area. 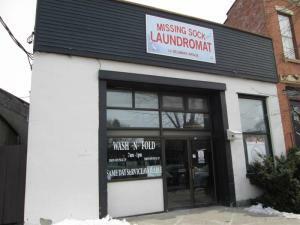 The Second Avenue Neighborhood Laundromat is in a fantastic location a great cash business with a good mix of equipment. All machines installed in 2004, 26 dryers, 22 large capacity washers, 3-30# machines, 12-35# machines. Real estate, business and equipment included in the sale. Always plenty of on street parking. THIS IS A GREAT CASH BUSINESS! DON'T MISS IT! 1,440 sq ft two family house (a 2 bedroom apartment and a 1 bedroom apartment) 2 bedroom pays $500 per month and 1 bedroom is $750 per month. Plus 4 mobile home sites $375 per month lot rent. 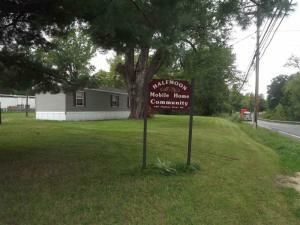 Seller does not own any mobile home. Each site has a septic. One drilled well provides water for the whole park. Tenant in 2 BR apt. tests well water and collects rent from park tenants. 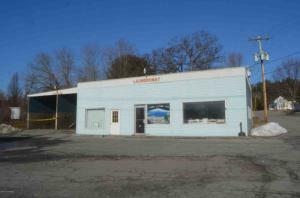 ONE STORY structure, IDEAL for most any type business, solidly built, hardwood flooringat one time a dance hall and also a auto parts business. located between I-88 interchanges #18 and #19 for E-Z access. Under 18 miles to Oneonta and Cobleskill. OR would make a great one story home ! 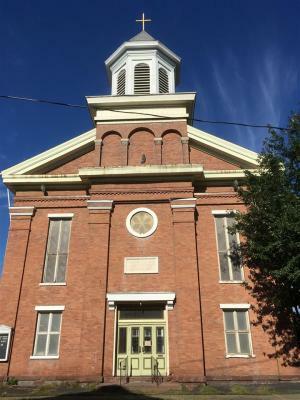 Great building with visibility from Main Street and Church St. Constructed of brick, cement block and stone. Three open rooms, 32x28,41x17 and 32x15, plus storage room. One half bath. 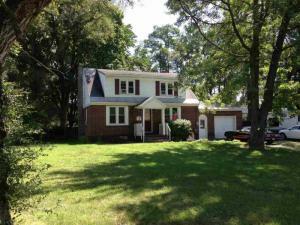 Wood floors, lots of light, full basement, village water and sewer and oil hot air heat. On the Village sidewalk. Plenty of on street parking and across from the Village parking lot. Would be perfect for a brewery?, fitness center?, storefront?, or just about anything. In good condition. 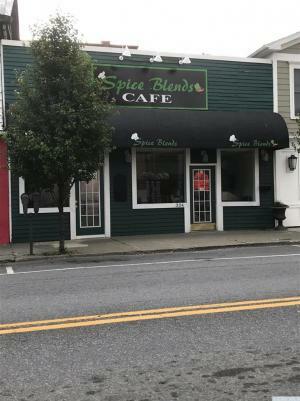 Well Established Turn Key Deli Business & Real Estate located on Main Street Westport, NY , a popular tourist hot spot, walk to Marina, Restaurants, Gift Shops, launch your boat at the nearby state boat launch on Lake Champlain, excellent gross income, all inventory included, owner retiring. Don't Miss This Business Opportunity! Attention Business Owners and Investors! Multiple use possibilities here! 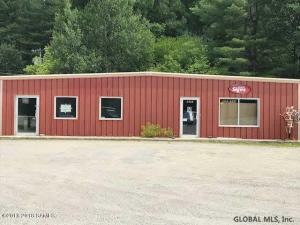 In the Heart of the Adirondacks, on Route 28/30, Huge traffic count, perfect for Office, Retail, Restaurant, Commercial, Manufacturing, or even covert to Mixuse with town approval. 2400 Square foot Building, new propane hotwater boiler multizone heat, electric hotwater, large high ceiling finished rooms, wood floors, 2 handicap restrooms, insulated 920 square foot heated shop space with 12 foot roll up door and fire code interior wall, lots of parking space, 240 feet of road frontage, next to snowmobile trails, and nearby lakes. Come and check it out and see what you can do with all of this! Schedule your showing today! 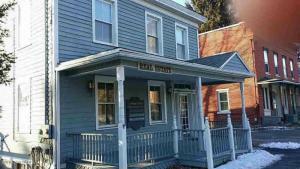 2 Story office building with walkout basement. 3 offices and conference rooom on 1st floor, 4 offices on 2nd floor. 2 offices in basement. 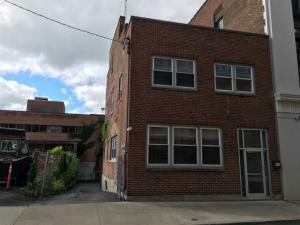 5-7 private parking spots.Excellent opportunity to be in a great location downtown Schenectady, walking distance to county building and city hall. Multiple use possibilities here! 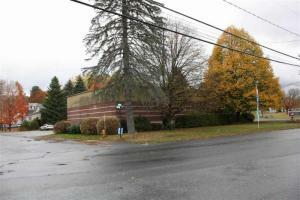 Route 28/30, Huge traffic count, perfect for Office, Retail, Restaurant, Commercial, Manufacturing, covert to Mixuse. 2400 Square foot Building, new propane hotwater boiler multizone heat, electric hotwater, large high ceiling finished rooms, wood floors, 2 handicap restrooms, insulated 920 square foot heated shop space with 12 foot roll up door and fire code interior wall & lots of parking space, 240 feet of road frontage. Come and check it out ! 14.73 Acres In The Commercial Zone Of Galway. Beautiful Parcel With Rock Walls & An Old Barn In The Back Of The Property. Privacy Trees By The Road With The Majority Of The Parcel Cleared. Would Also Make A Great Lot For A Custom Home. Zoning & Uses Under Docs. 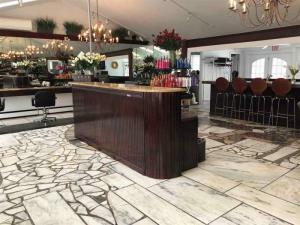 Prestigious fully furnished hair salon business for sale. 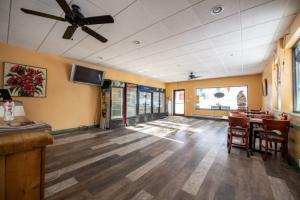 Recently renovated space with many upgrades. The salon includes 8 hair stations, full bathroom and reception area. Financials to be shared to qualified candidates upon signature of NDA. Please contact LA # 2 for additional information. Only limitations are your imagination. Large open spaces with great lighting.Most current uses are for music, small play productions, dance and karate. Hudson River Music Hall Productions Inc have out grown this space. 3 furnaces could create options for leased smaller spaces, live in one? Basement entrances could provide ease of many different uses. Basement has a useful ramp. Old hoist from exterior of backside. Handicap accessible ramp. 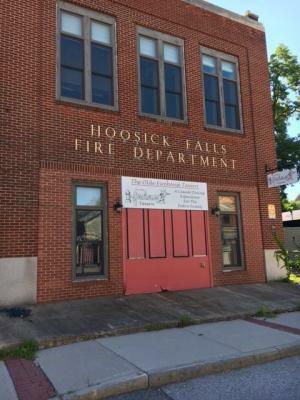 Although public records show it's effective build date as 1960 the build is dated back to 1881.Hudson Falls Village Parking Next to property. Be part of the revitalization of this historic little village. Remarks: Only limitations are your imagination. Large open spaces with great lighting.Most current uses are for music, small play productions, dance and karate. Hudson River Music Hall Productions Inc have out grown this space. 3 furnaces could create options for leased smaller spaces, live in one? Basement entrances could provide ease of many different uses. Basement has a useful ramp. Old hoist from exterior of backside. Handicap accessible ramp. PRICED TO SELL!! MIXED USE BUILDING ON THE BUSIEST INTERSECTION IN ROTTERDAM. 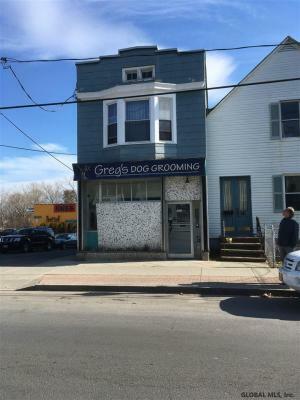 IDEAL FOR MANY USES AND A GREAT LOCATION RIGHT ON THE 5 CORNERS OF ROTTERDAM NEXT TO CVS AND THE LUCIA'S PIZZA PLAZA CLOSE TO DINER, DOCTORS OFFICE, ROTTERDAM MALL, AND MUCH MORE.... IT ALSO HAS A KITCHEN SQ FT NOT LISTED ABOVE WHICH CAN BE ADDED TO THE RETAIL PART. 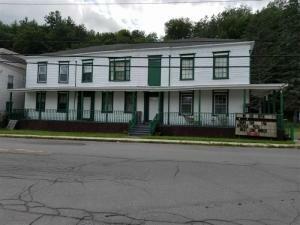 DON'T MISS THIS OPPORTUNITY WITH AN APARTMENT ABOVE AND TENANT PAYS RENT AND UTILITIES AS WELL AS TENANT DOWNSTAIRS. 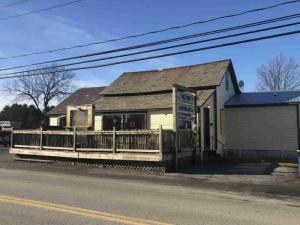 Cash flow positive commercial building on the most visible street (high volume traffic) in Warren County! Handicap accessible, illuminated 4' x 6' sign, and more - over$45,000 in upgrades have been made. Easy to show and turn-key. Owner is a NYS Real Estate Broker. 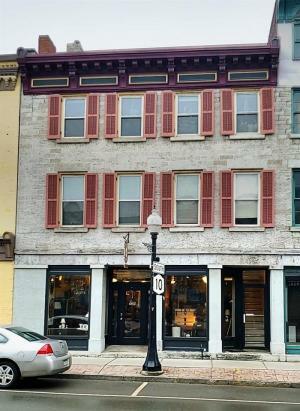 Listing Courtesy of: DwellOwner Inc.
Super opportunity in Lark St/Madison Ave business area. 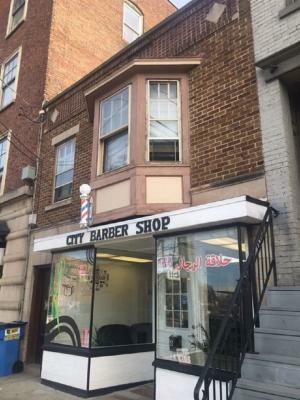 Retail space (currently a barbershop) has been continuously rented since 2005. 1-bedroom apartment upstairs is currently rented. Great money maker! 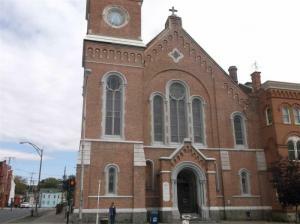 Great old building with unlimited potential.Property is in need of updating and repair. Back office space has all been redone and is ready for renting. The rest of the property will need work,but the craftsmanship is unbelievable. Two great old fireplaces,crown moldings and coffered ceilings that are unmatched.Great location. Owner has recently finished off the bottom and added two apartments. 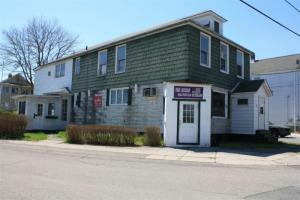 Ideal downtown location on Main Street across from the waterfront. Attractive business location for professional office, attorney, architect, accountant, financial. 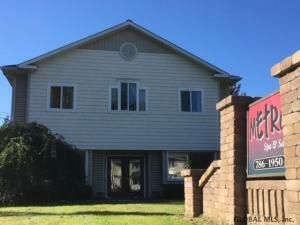 Building is in excellent condition with plenty of parking.Features include, 2-offices, storage room, reception area with 3 work stations, conference room, central air. 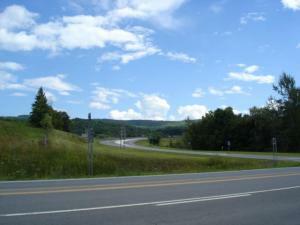 Take advantage of this FABULOUS opportunity on a highly visible, well traveled highway. 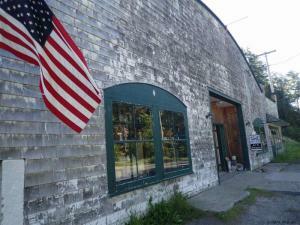 Property was previously used as a restaurant with gift shop and café. It is easy to subdivide to suit your needs. So let your imagination run wild and turn this into anything your heart desires. 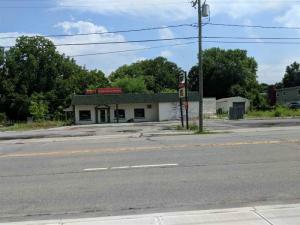 The property has been zoned commercial, mixed use, and residential. It has three rented apartments, wood floors and some commercial equipment. 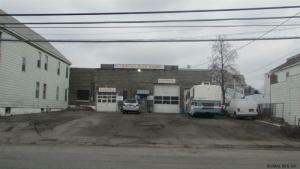 This conveniently located building has housed many commercial operations and currently has a tenant. 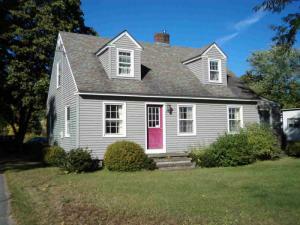 The location is ideal with a very short walk to town or school and just yards from route 28. The area is zoned both residential and commercial. 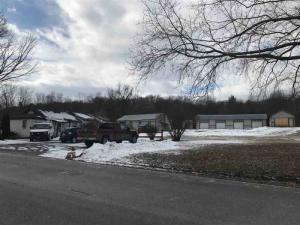 Catskill Commercial 5 acres large metal building on quiet road, convertible to residential, close to Hudson River, ideal for boat storage. Huge Parking Area. Mixed use zoning. 2 buildings on 1 deed. Front building is 700 SF commercial building and the back building is a 4 bedroom, 1.5 bath, LR, DR, kitchen 1,700 SF residential house. Live in the back and run your business in the front. 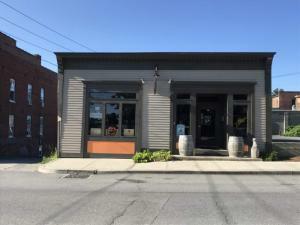 The front building was completely remodeled a few years ago, it was a former liquor store, its currently vacant and can be used for retail, office, restaurant and many other options. The rear house is in very good shape. Tenant currently pays 1K/month. Ideal location in the center of North Creek. Could be a dentist office again or make a lovely store. WORK SHOP AND THREE FAMILY HOUSE GREAT INVESTMENT. Zoned for heavy industrial. 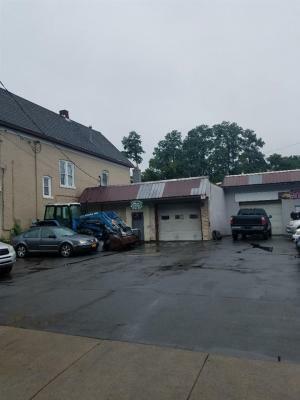 Former auto frame straightening shop. Currently rented by long term tenant who is using it as a weld shop and would be willing to stay. There is an apartment on site. Three-phase compressor and lines, 440 volts and lift. Two oil furnaces and wood stove heat the building. 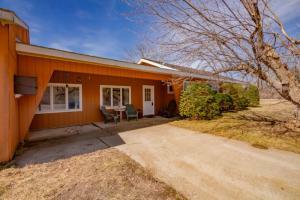 Close to the railroad and located on a country dirt road. Very motivated seller!! Ready for worship / educational use or conversion to most commercial, retail or residential options. Wide open space. Magnificent stained glass windows. Across from Downtown SUNY campus. A block from Washington Park. On bus line for easy access. 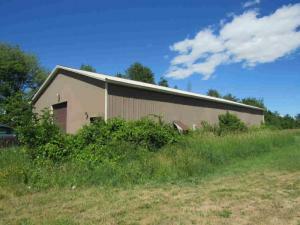 Great size Warehouse located next to school and few minutes from town. 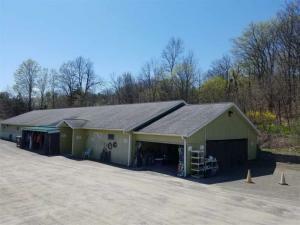 Building is well maintained and has 14 ft high doors on each side and is 5,000 Sq Ft. Great for storing boats, cars, and equipment. Prime location, high visibility. 2400 sq ft. 4-bay garage with 12' high ceilings. Inside finished, insulated, two hot air heating systems. Heavy duty car lift included. Also detached office with bathroom. Drilled well and septic. Easy access to Capital District. This ranch has been completely gutted to the studs. 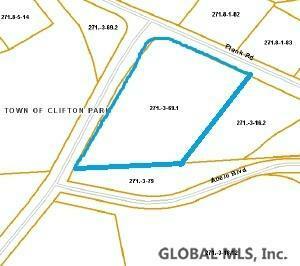 1 acre lot w/100' of road frontage in the Glenville Community Business District. Allowed uses: Retail; bank; professional, medical & governmental office; garden shop; florist; museum; library; club; lodge; microbrewery & microwinery. 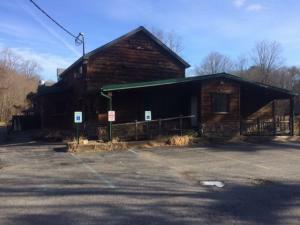 Conditional use permit: restaurant, cafe, and indoor recreational facility. Located in a high traffic area. Please note: This property is being sold where is and as is with no warranties expressed or implied. HUGE REDUCTION! 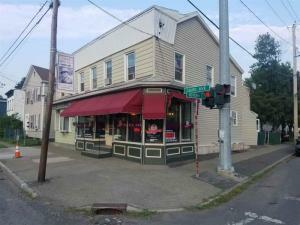 Turnkey & Immaculate Restaurant Space In The Highest Foot Traffic Section Of Broadway. ~800SF Kitchen, 122 Seats PLUS Outdoor Patio. Beautiful Wooden Booths & Bar. Updated Neutral Decor Throughout. Private Party Area. New Owner To Be Approved By Landlord And Would Take Over Lease For Remaining 9+/- Year Term At $8,350/month With 3% Annual Increases. Call For Details. FF&E List Under Docs. Incredible opportunity to get immediate income from this 2 unit money maker! $1600/month in rent comes in EVERY month! Come and get your piece of the pie today! 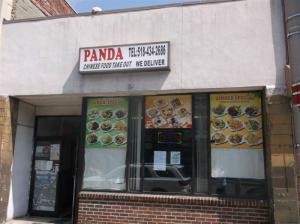 Currently used as a Mexican restaurant on the 1st floor and 3 bedroom apt on the 2nd. Spacious back yard has amazing views of the creek below. 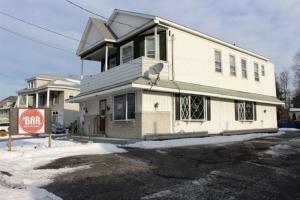 5 unit property with great income potential! 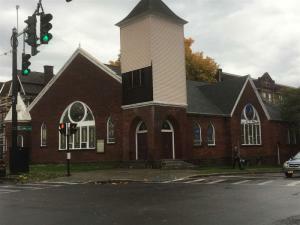 Located in the up and coming Broadway area of Rensselaer. Close to highways, shopping and more. Public water and sewer, separate utilities. 15-20 car garage beneath the building! Units range from studio-2 bedroom apartments. Possible owner financing! Don't miss your chance! 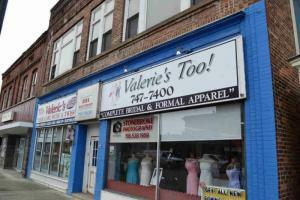 Fantastic business opportunity, on high traffic Quaker Street/NY State Rte. 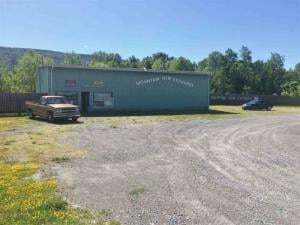 149, Granville, NY.This large 75' x 239'+/- level lot, is in the midst of numerous chain stores, department stores, and 2 schools. Quaker Street is thriving! Property is zoned for numerous uses. 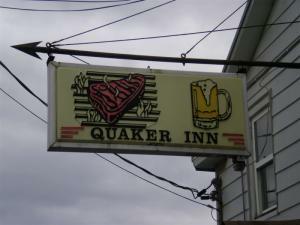 This is a staple of Schenectady, NY. 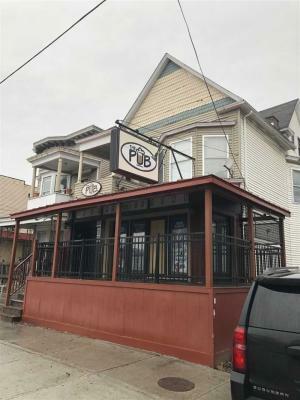 Established bar, has two bedroom apartment upstairs. Bar has a full functional kitchen. Seller motivated, come with offers. Serious buyers only. A mostly concrete block structure (7000 sq.ft.). 9 docks, plus a loading bay, & a few offices,etc. Also there are two,side by side, free standing garages totaling 4000 sq.ft. A 40'x40' (2-overhead doors) and a 32'x76' (1-13'10" overhead door).All structures have multiple possibilities for storage, construction company, mechanic shop, distribution warehouse, trucking company, etc. Need MORE SPACE ? Additional adjacent land & structures available. See MLS#'s 85006 and/or 85027. ONE MILE I-88 interchange #19. 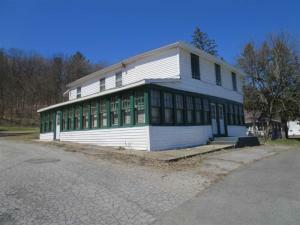 Now is your chance to have your own lake front general store! Great space and storage, ready to make your own. Convenient corner location, easy parking, easy access and right near Lake Lauderdale. Solid construction, needs updated heating system, but full basement and rooms in the back...perhaps an apartment rental option? Start making plans to make your ideas come to life! This is a fantastic opportunity! 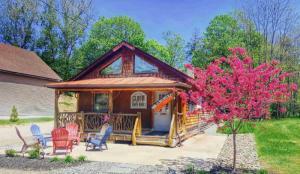 Or have a "nearly" lake front home at very affordable price. 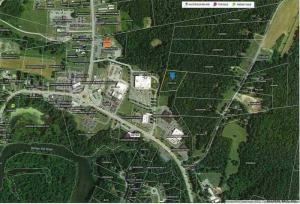 Cairo Commercial 5000SF 6 Acres Great Deal. 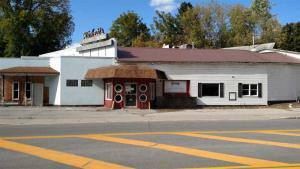 This property on 6 Acres of land has two 2500 SF spaces previously used as former nightclub and gaming room. Realize your dreams in this incredible opportunity with unlimited expansion possibilities. Large Parking Area. Very profitable 5-family unit. Fully rented, all units in good condition. Tenants pay own utilities, off street parking. Excellent location, close to hospital. Possible 5-unit apartment building. 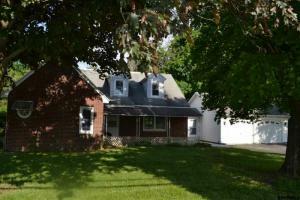 Great investment and income property! 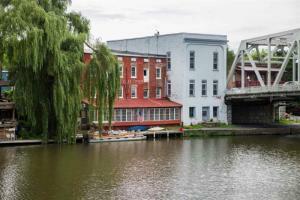 Closely located to the Little Falls business district, Erie Canal, shops, and local restaurants. Amazing opportunity to buy this very unique and successful business. 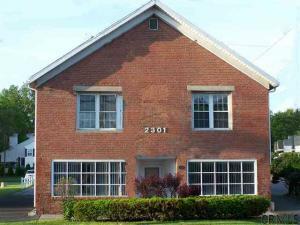 Located in a fantastic plaza (Galleria 7) on the Niskayuna and Latham border. TONS of 5 Star reviews on major sites!! Completely turn key and owner is willing to hand everything over plus give additional support for a time after closing. Owner is also willing to hold some of the mortgage for the new owner. 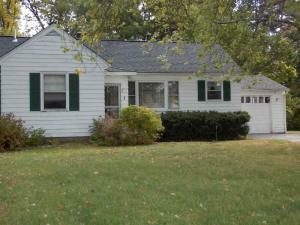 Positive cash flow since day one owner is selling because of need for warmer climate. Must sign confidentiality agreement for more information. INVESTORS/BUSINESS OWNERS TAKE NOTICE. THIS WAS OPERATING AS A WELL ESTABLISHED BAR/RESTAURANT FOR SEVERAL YEARS. 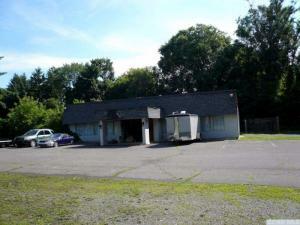 ALL FURNITURE APPLIANCES AND THE VACANT LOT FOR ADDITIONAL PARKING ARE NEGOTIABLE FOR SALE. AGENT RELATED TO SELLER. INVESTORS/BUSINESS OWNERS, TAKE NOTICE. THIS WAS OPERATING AS A WELL ESTABLISHED BAR/RESTAURANT FOR SEVERAL YEARS. 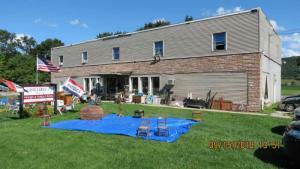 ALL FURNITURE, APPLIANCES & THE VACANT LOT FOR ADDITIONAL PARKING ARE NEGOTIABLE FOR SALE. SOLD AS IS. AGENT RELATED TO SELLER. Ready for educational or worship use. 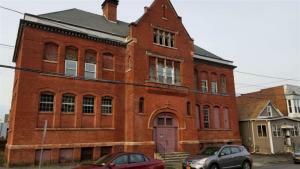 Classrooms, Sanctuary, seating for 250+ or Amazing development opportunity for multiple apts or offices. Solid brick, stained glass, soaring ceilings. 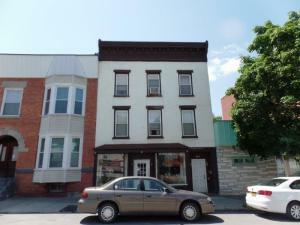 Large Commercial space and second floor apartment that has been recently renovated. 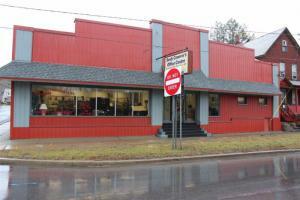 Offers a great location for your business opportunities or as an investment. 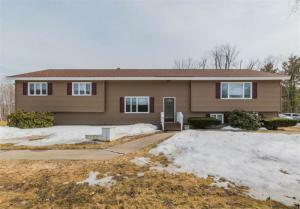 Call today to see this one. 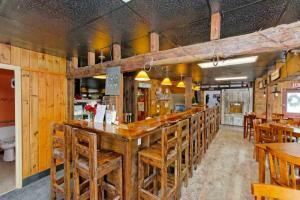 Open your own dream restaurant in a superior village location! 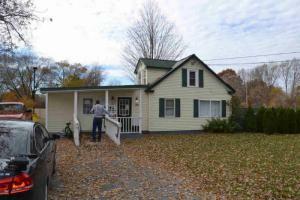 Recently renovated with new siding, roof, flooring and plumbing. The first floor seats 65 including bar area. 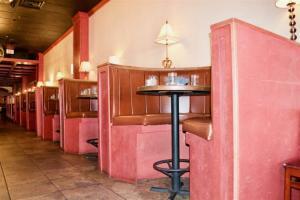 The upstairs banquet rooms offer seating for 35. Perfect for private parties, showers, business meetings. Entire equipment list attached to listing. Fully equipped Kitchen with built in fire prevention ventilation system. Located on State Road. 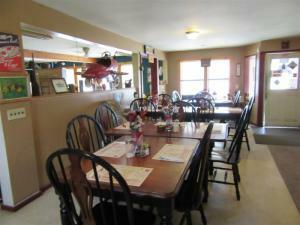 This restaurant is a warm inviting place to eat and visit with friends. Make it yours! !